​The bunkering tanker is seen inbound from Algeciras, Spain to load waste oil on a murky morning. 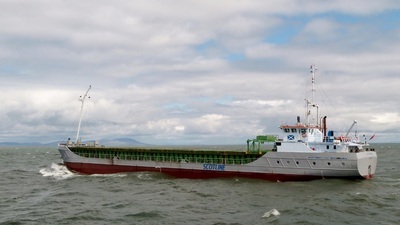 The 3,600ton DWT vessel built in 2012 is managed by 'Seatrade' for the Hamburg based Bomin Group, a trader & supplier of bunker oil to the shipping industry. 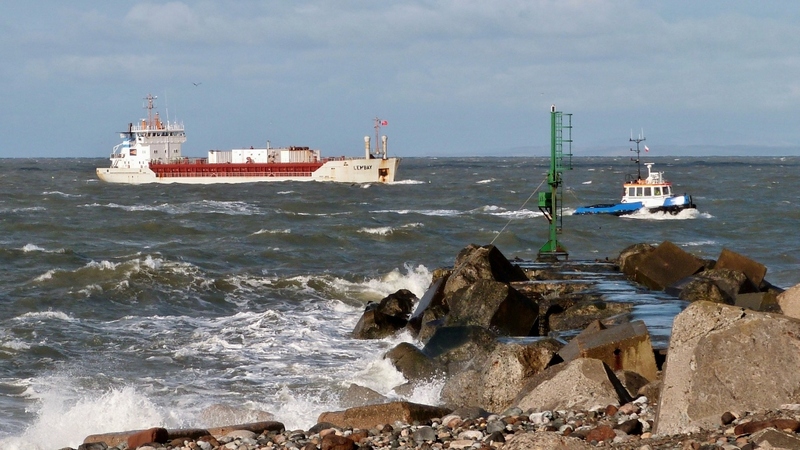 The first photo shows a navigation buoy swept into the approach channel after Storm Desmond had dislodged it from the River Derwent a few days earlier. The buoy had become snagged & initial attempts to retrieve it had been unsuccessful. 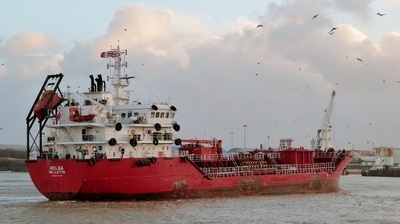 The starboard superstructure can be seen to be well protected by tyres for when the tanker is on bunkering duties. 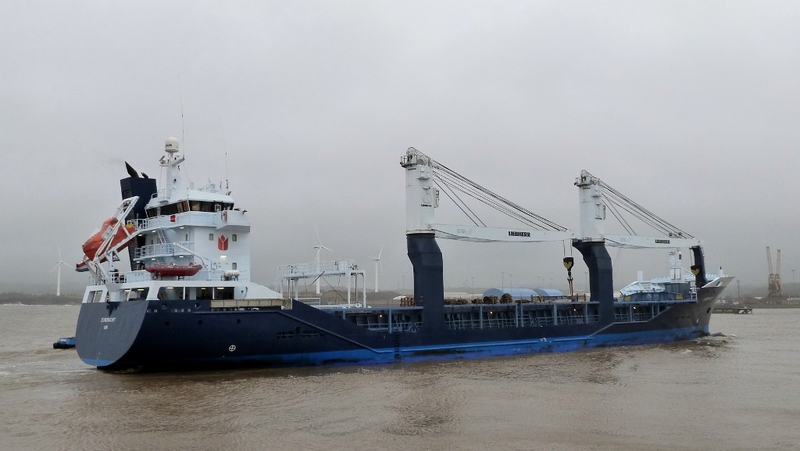 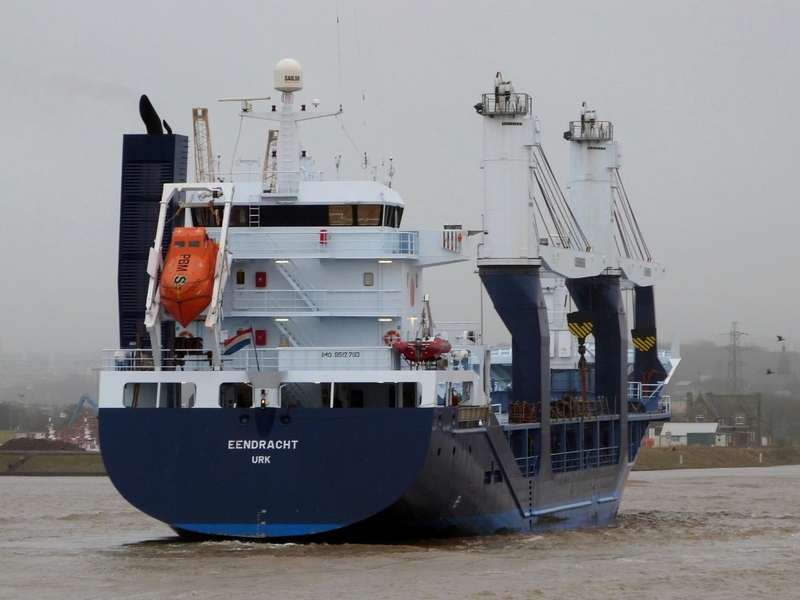 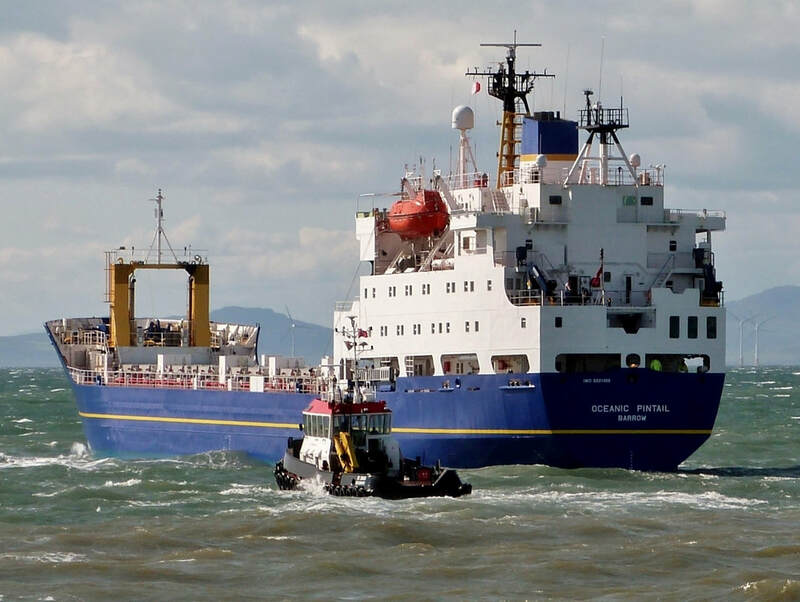 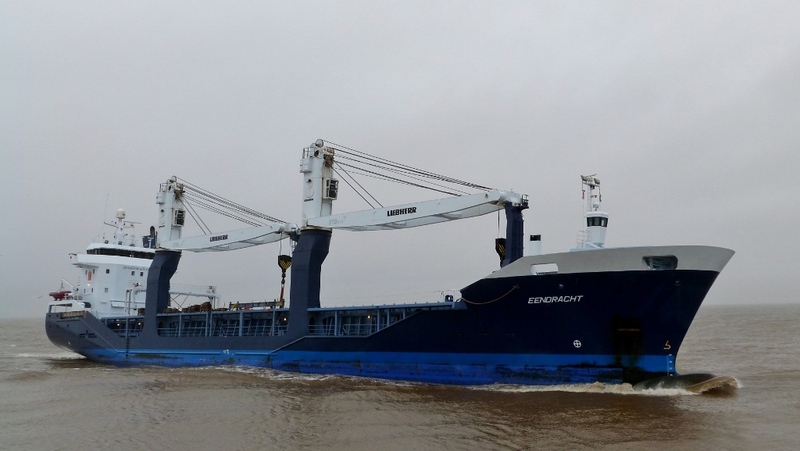 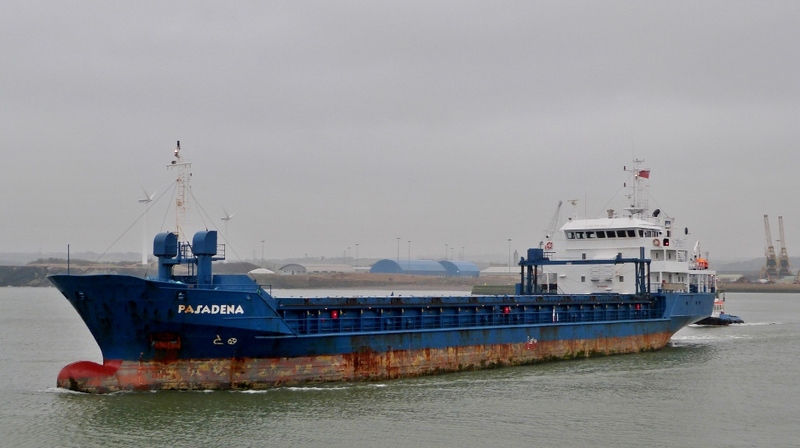 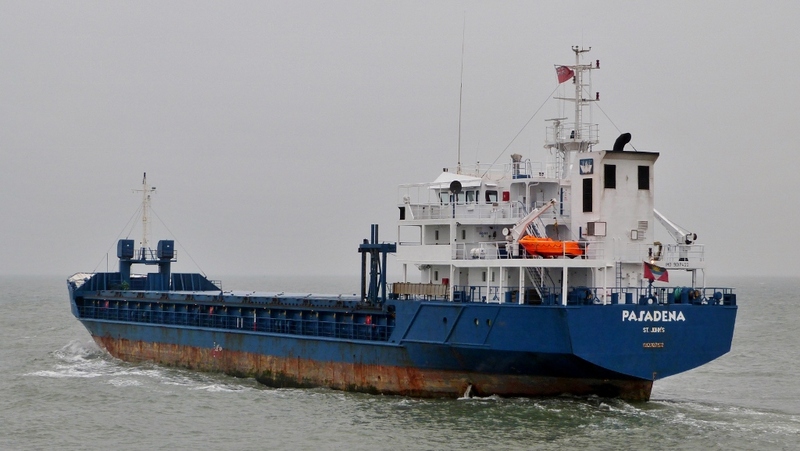 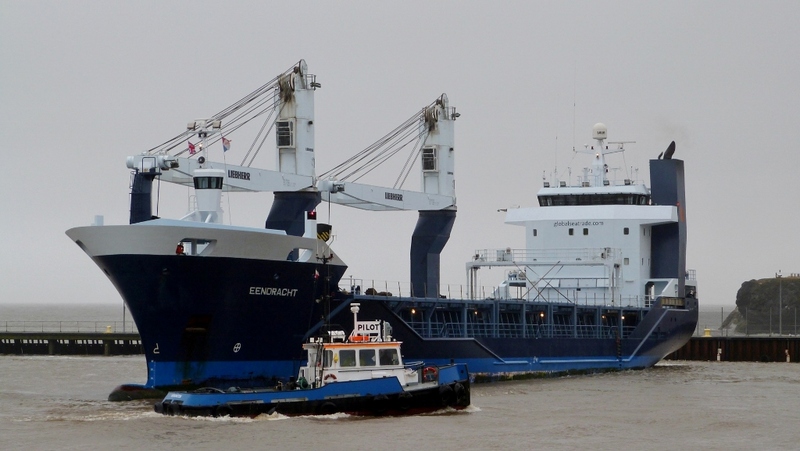 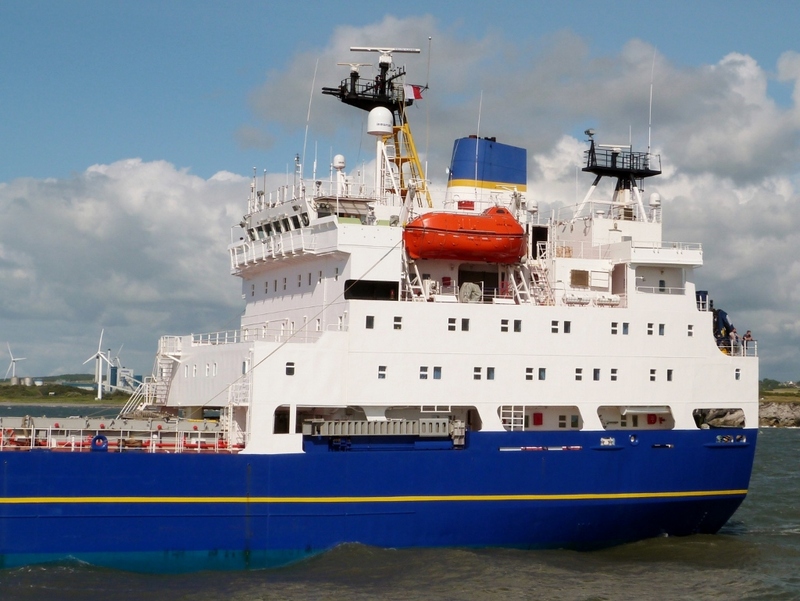 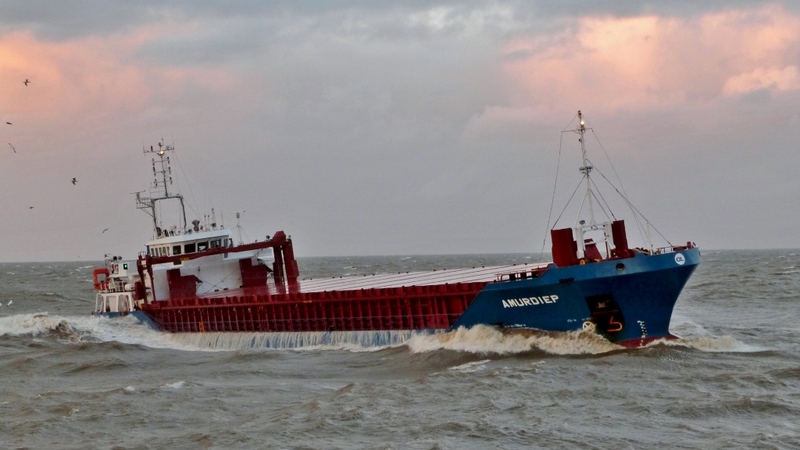 ​The vessel didn't depart for Antwerp until 22nd Dec. An inspection had revealed a faulty freefall stern lifeboat which had delayed loading. Outbound at midday on a grey afternoon for the 16hr return sailing to Corpach, Fort William. 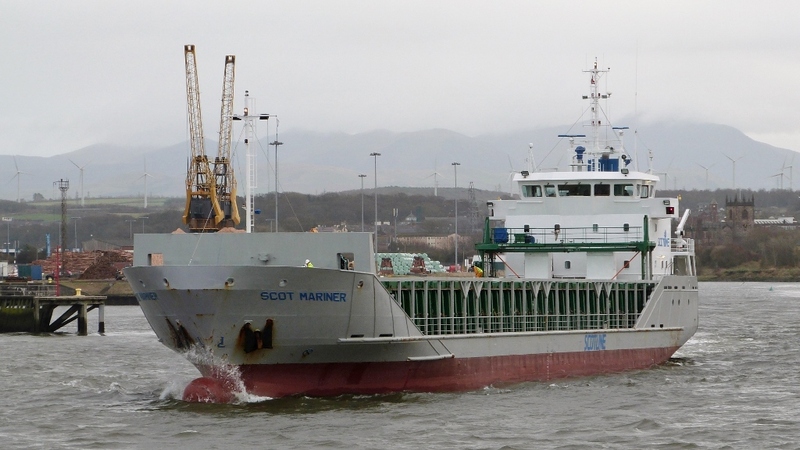 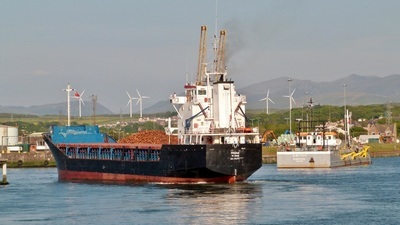 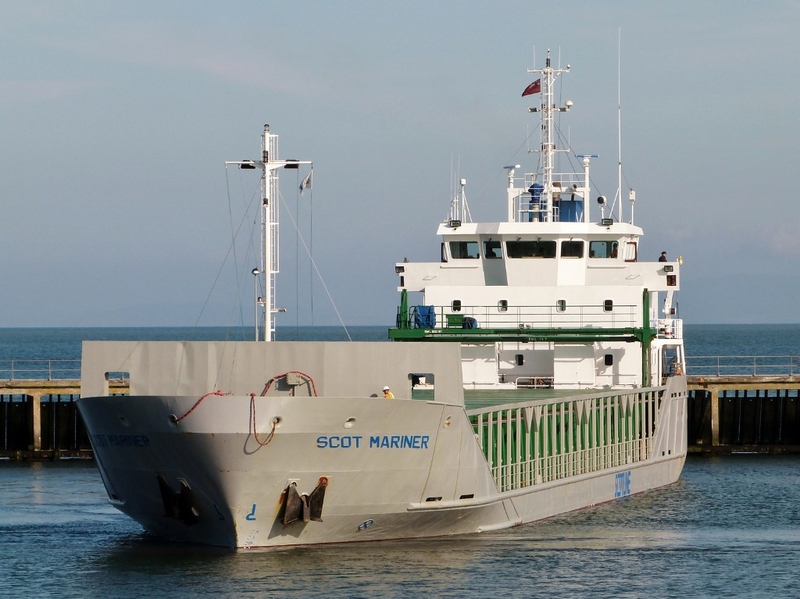 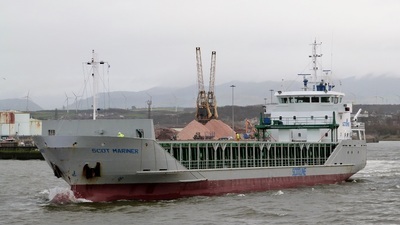 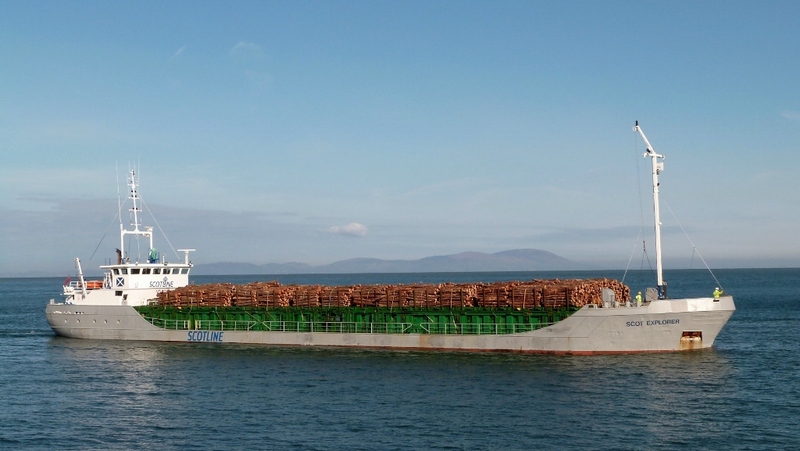 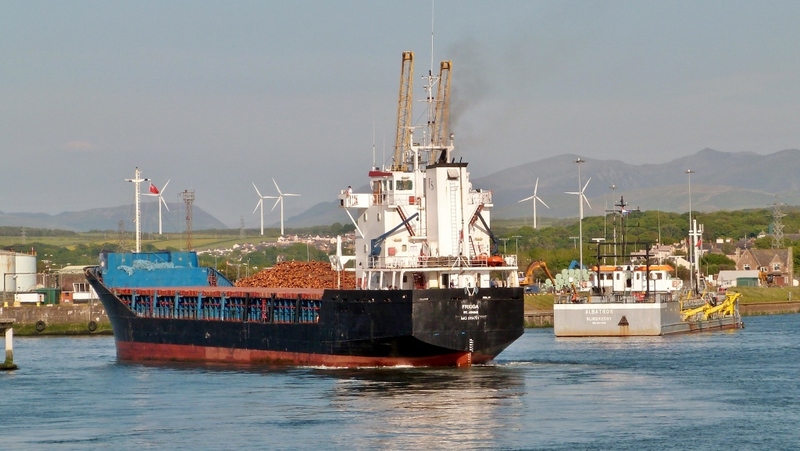 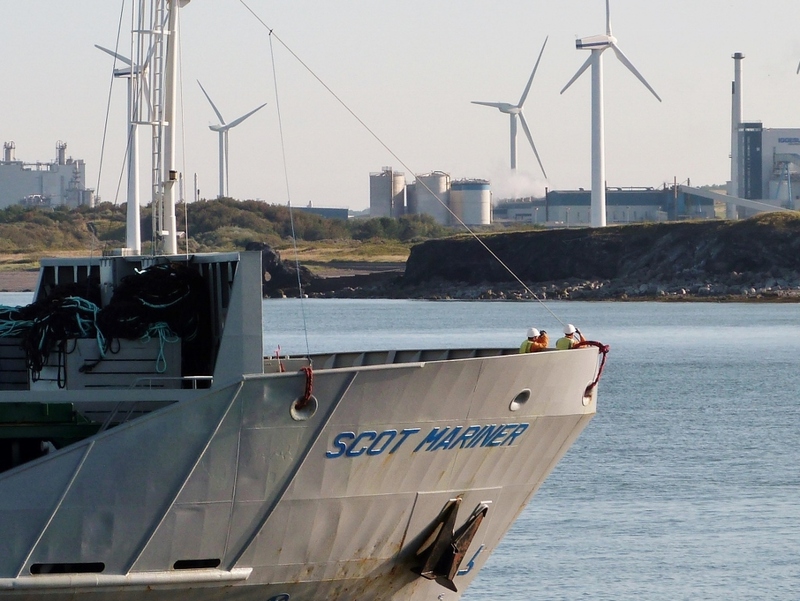 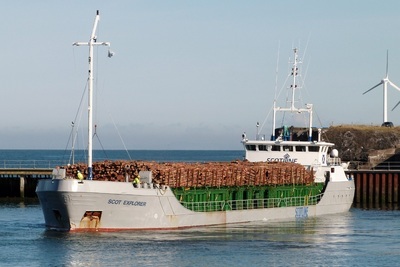 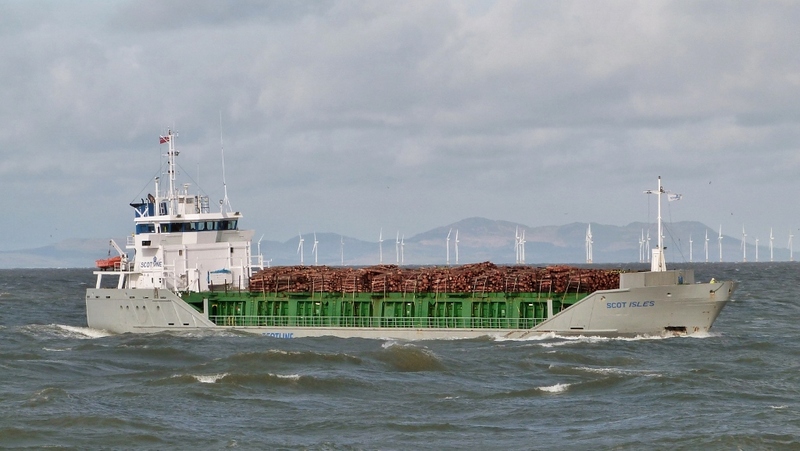 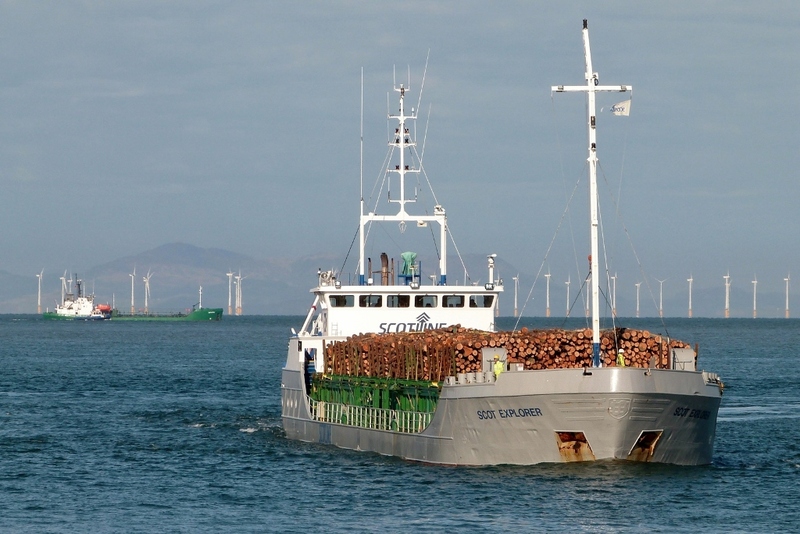 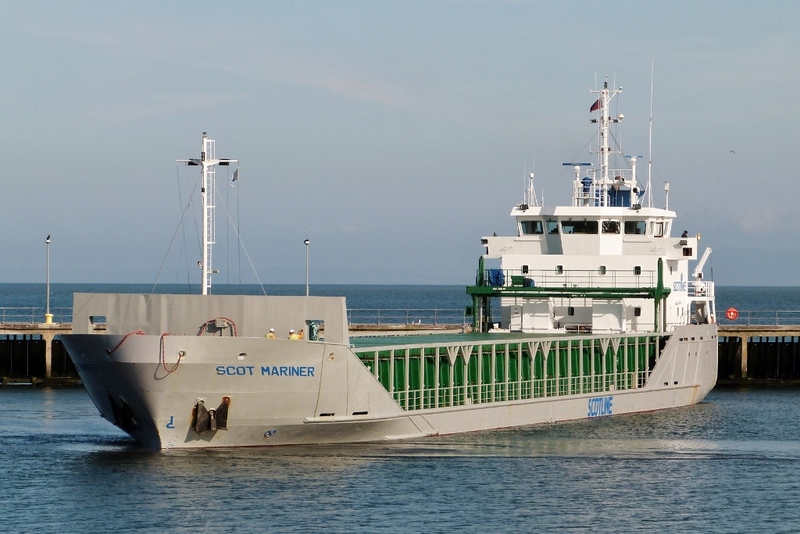 "SCOT MARINER" is one of Scotline's regular visitors to the port with timber products. 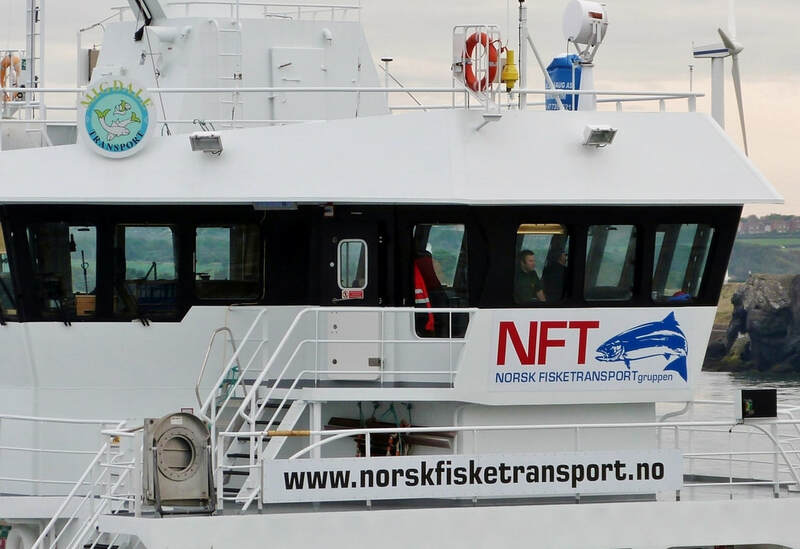 ​The fleet made 20 visits in all during the year. 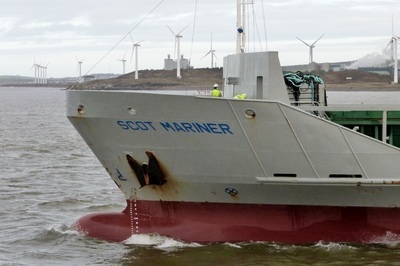 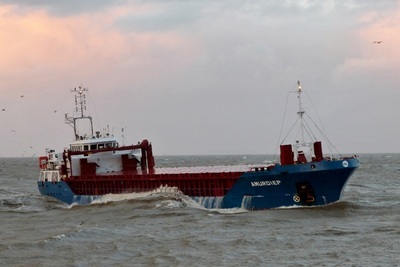 'MARINER' visited 5 times with either round timber/wood chips from Corpach or baled wood pulp from Vlissingen. Inbound at dusk from Aveiro, Portugal with baled wood pulp. 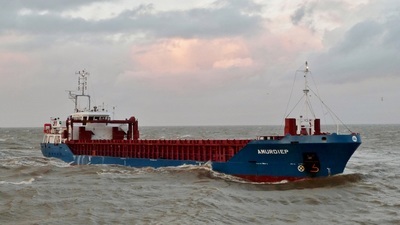 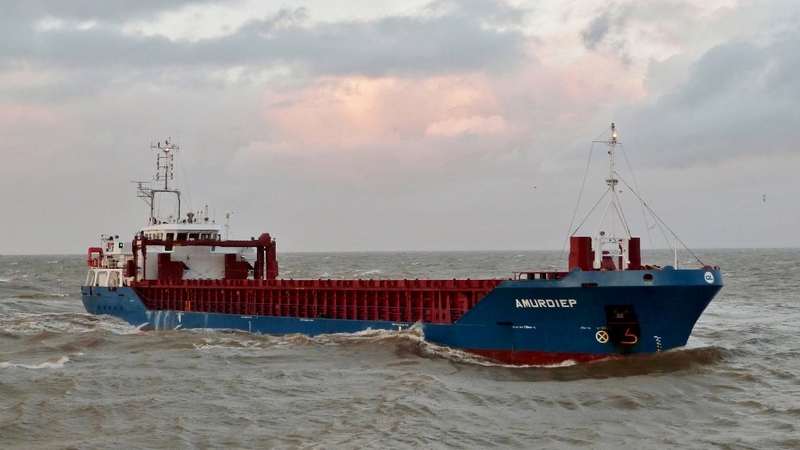 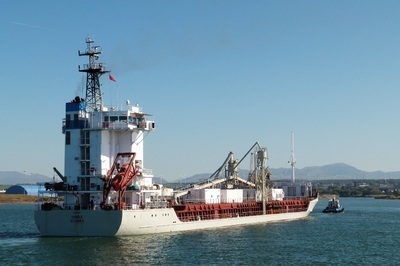 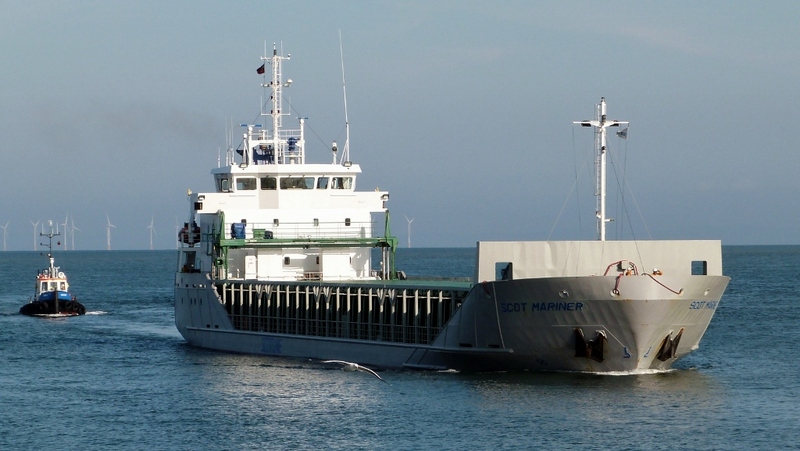 ​​"Amurdiep" is one of 6 vessels operated by ÖL Shipping of Limassol. 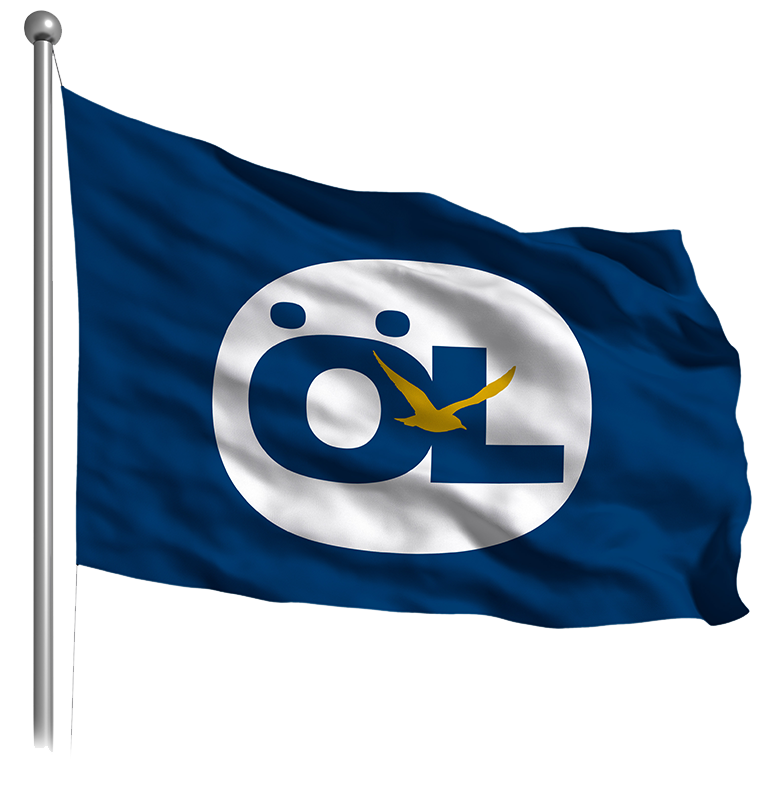 The company has a long & distinguished history but is now much reduced in size. 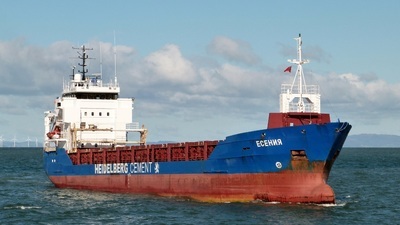 Other vessels in the fleet are 5 fully geared container ships. 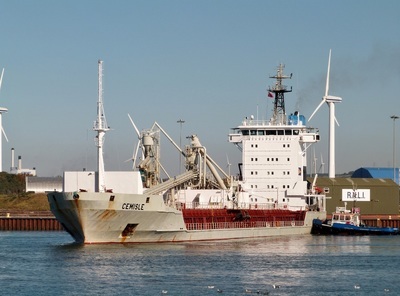 It's been a busy week at the port with "Cemisle", "CEG Cosmos" & "Agate" already berthed and visible in the background. ​Inbound on a grey afternoon from Sagunto, Spain with the second batch of two new Class 68 locomotives. 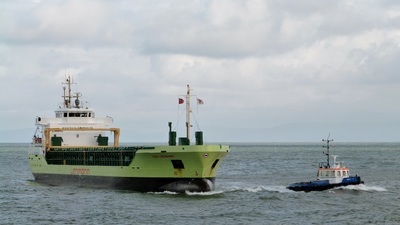 "Eendracht", built by Hartman Marine, is a new design of heavy lift vessel capable of speeds of up to 18 knots as a result of a unique hull. 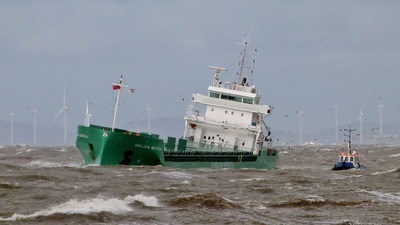 ​Inbound from Southern Spain as Cumbria feels the effects of the first autumn storm, named "Abigail". 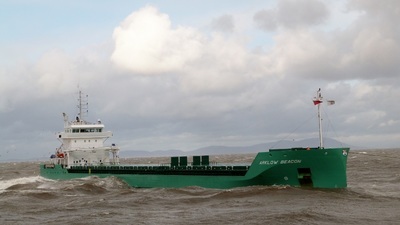 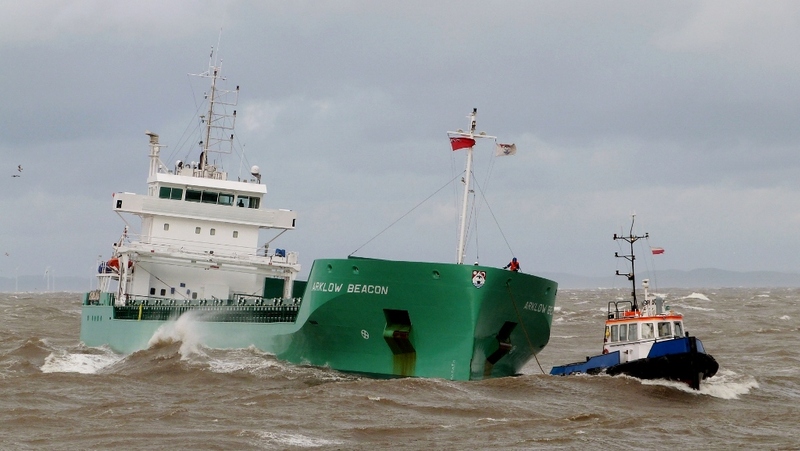 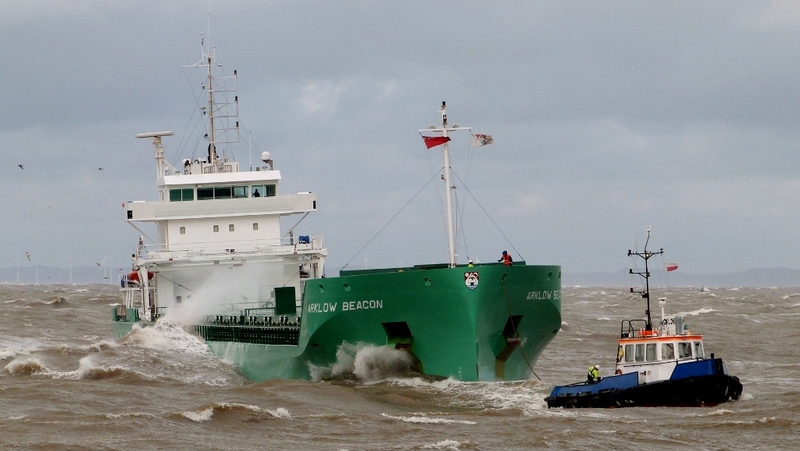 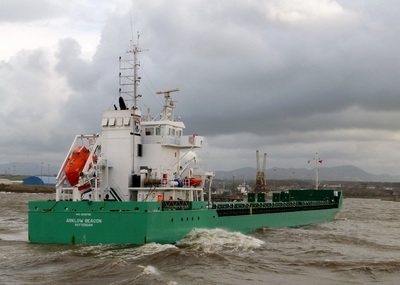 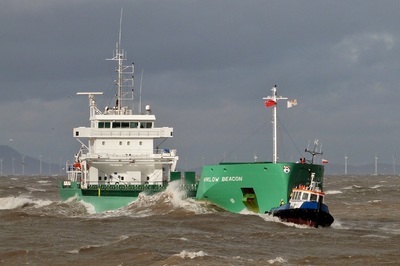 "Beacon", built in 2014, is one of eight mid-range (8000tn DWT) vessels forming part of the large fleet operated by Arklow Shipping. 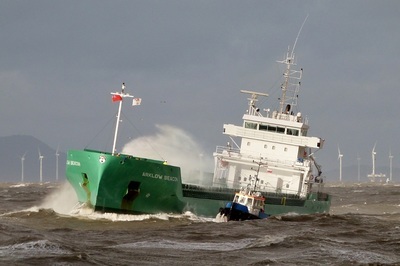 The photos show the difficult approach conditions, attachment of a line to pilot tug "Derwent" & safe passage into the shelter of the port. 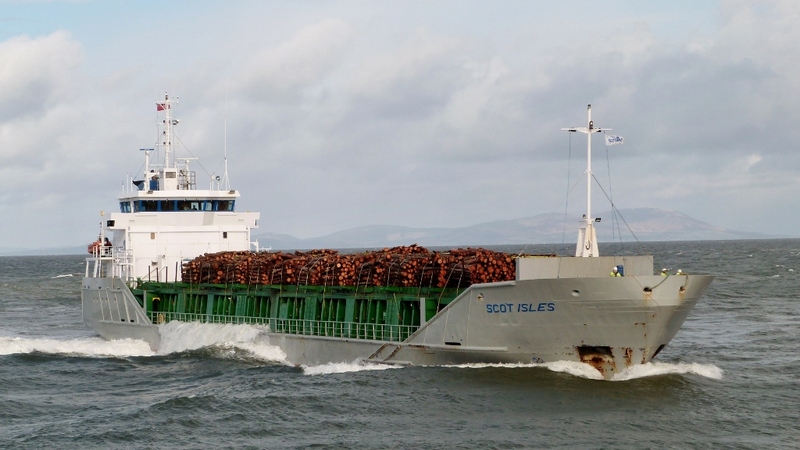 Inbound on a crisp sunny morning with timber from Inverness. 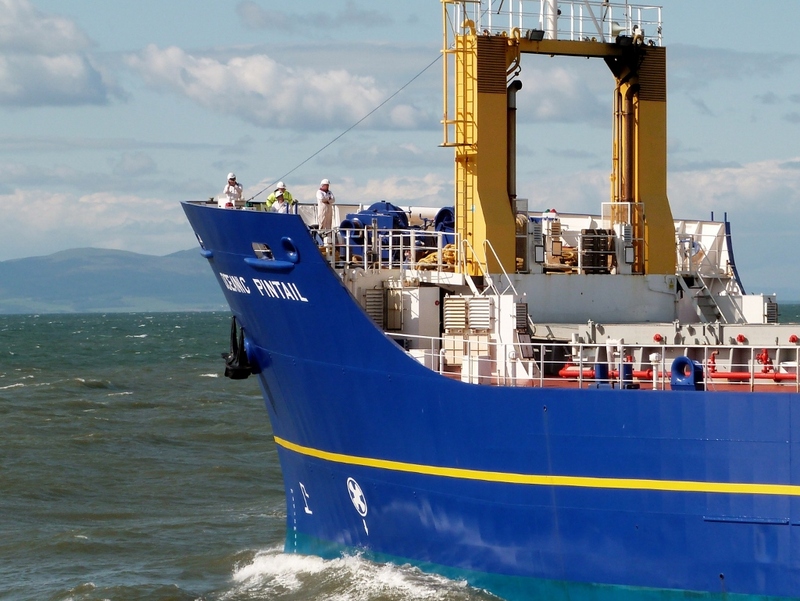 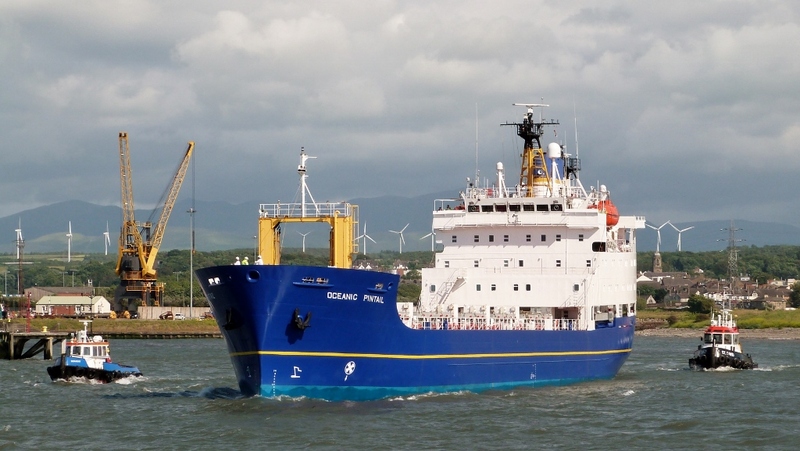 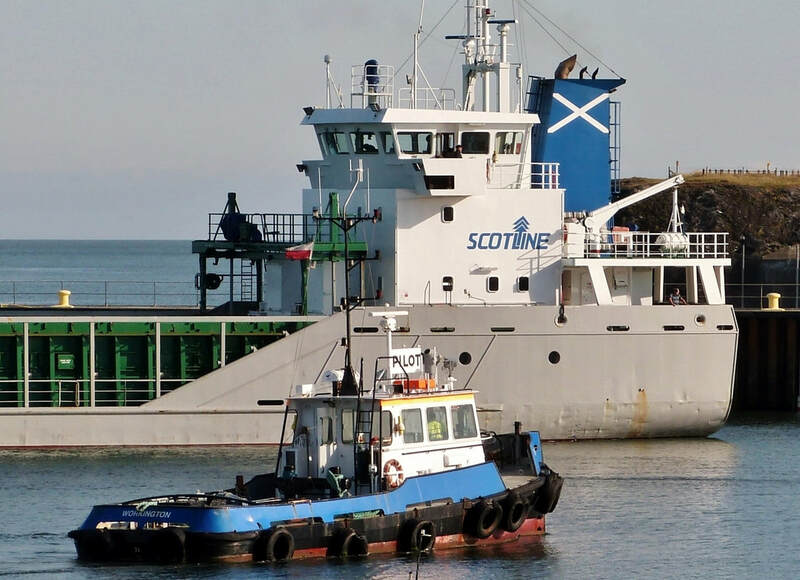 Scotline has a long history of shipping across Northern Europe. The first delivery made by the company was also of logs, from Inverness to Bremen almost 40yrs ago. 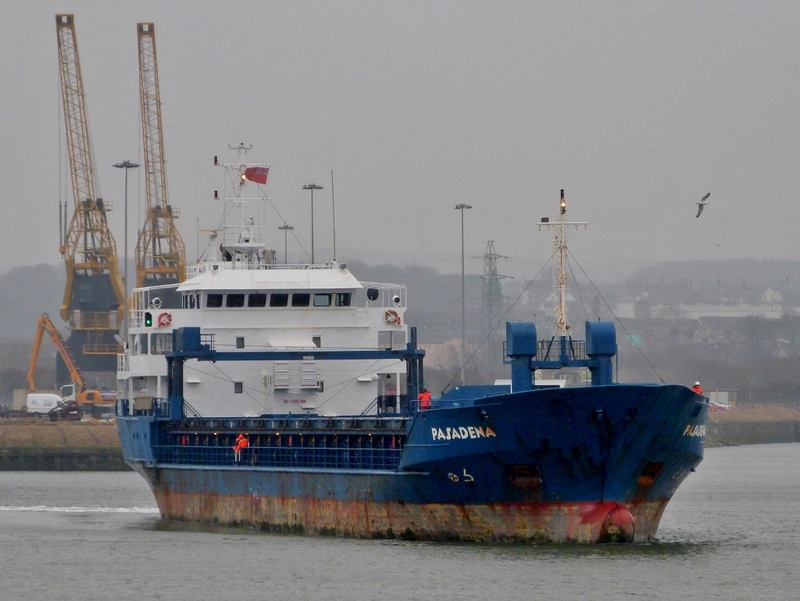 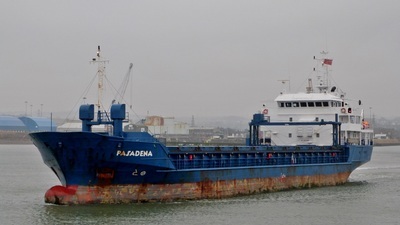 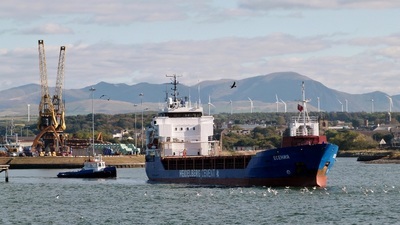 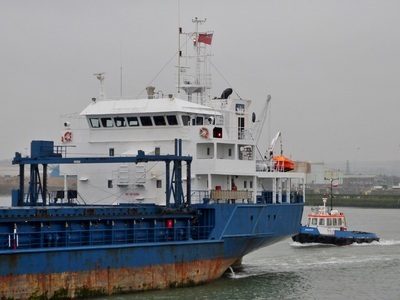 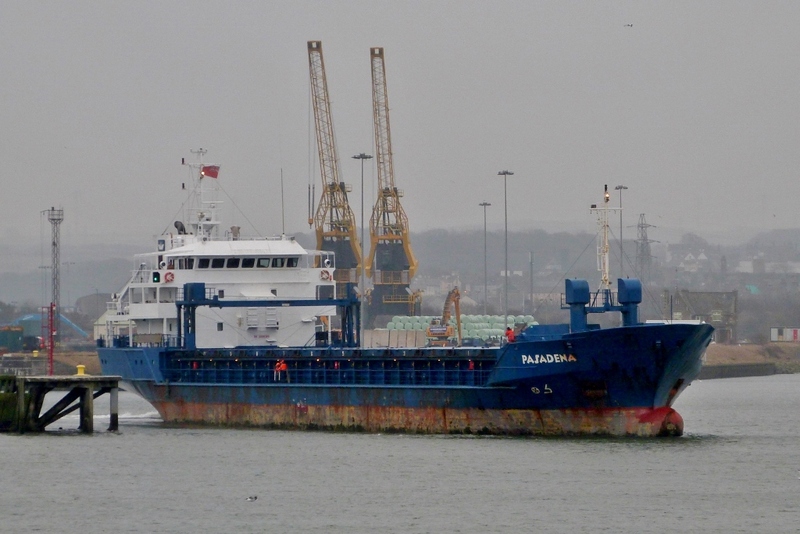 ​Two sets of photos, firstly inbound from Waterford, followed by 2days later, outbound for Latvia. 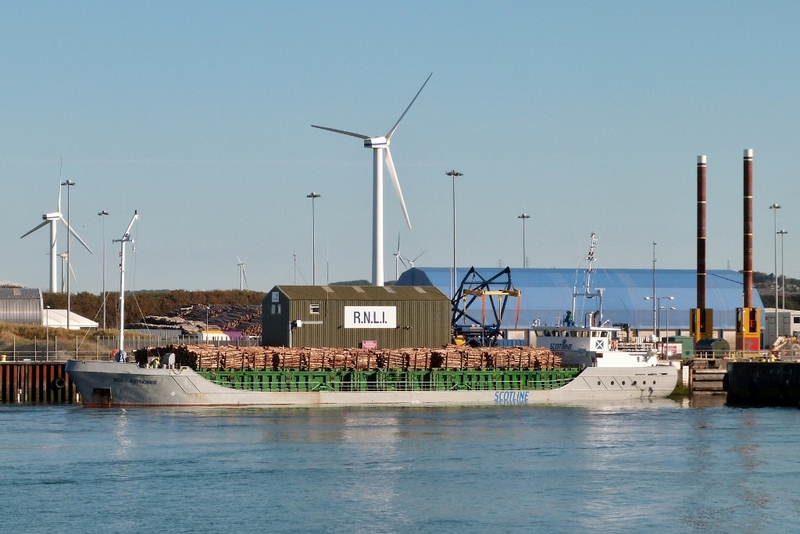 Recycled waste is loaded for export to Liepaja where it is used in combined heat & power generation. 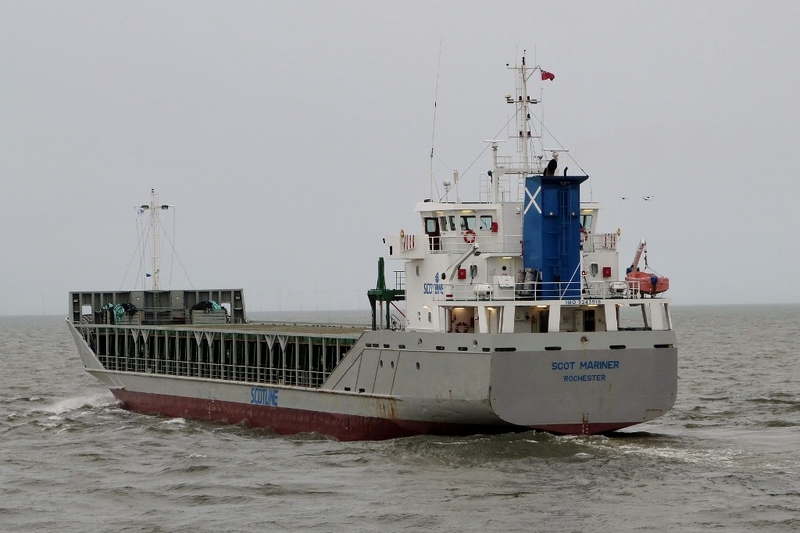 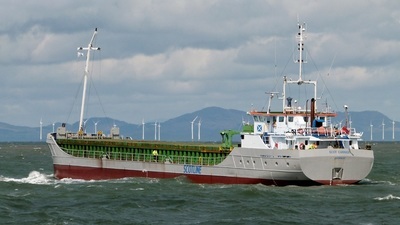 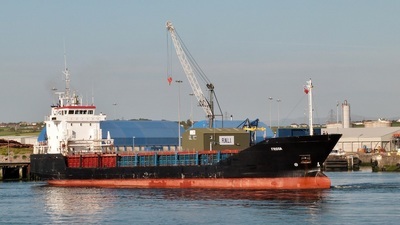 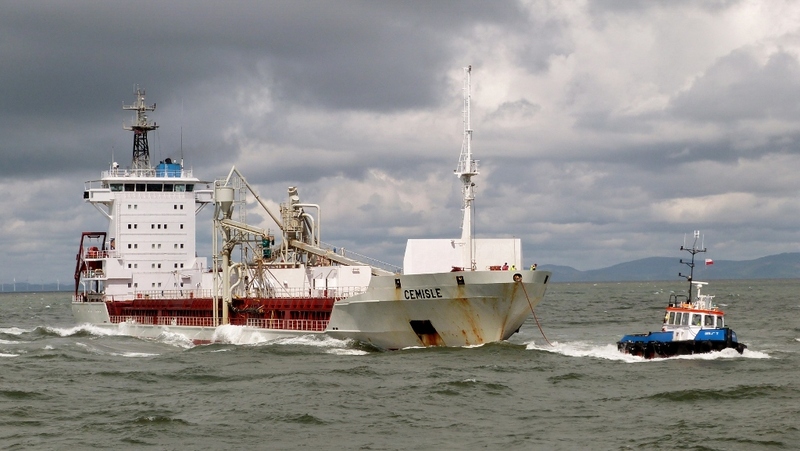 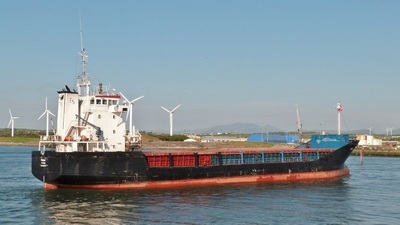 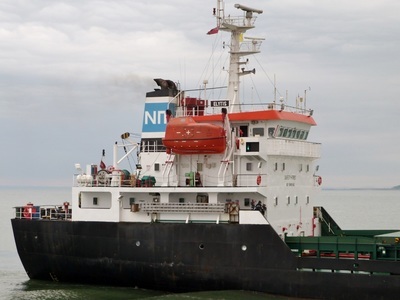 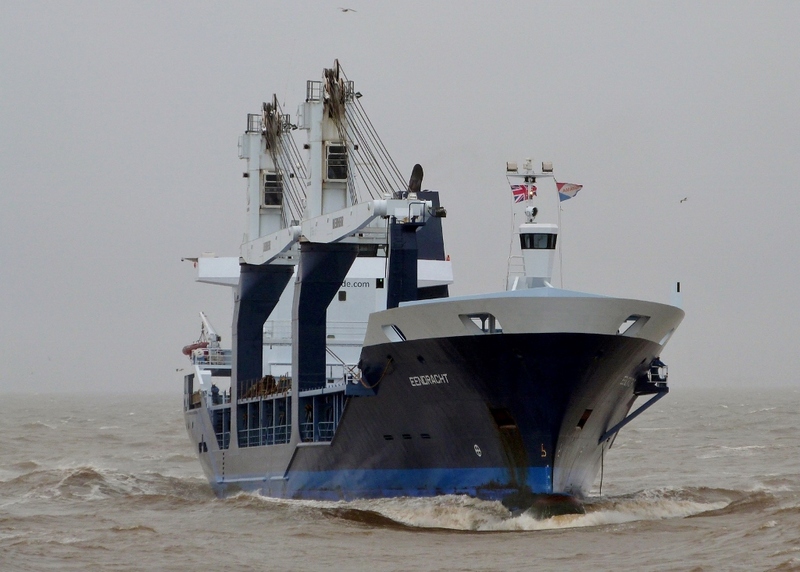 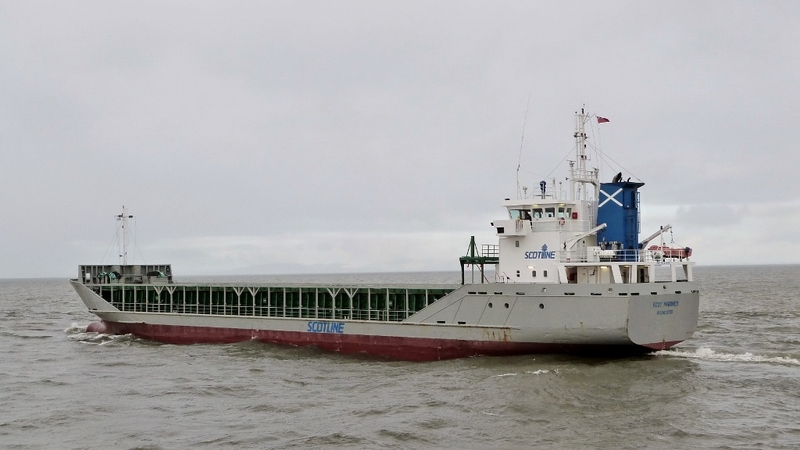 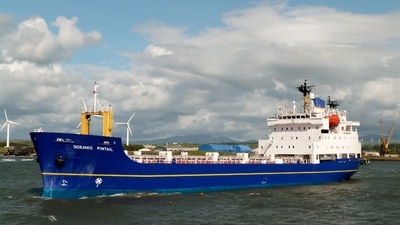 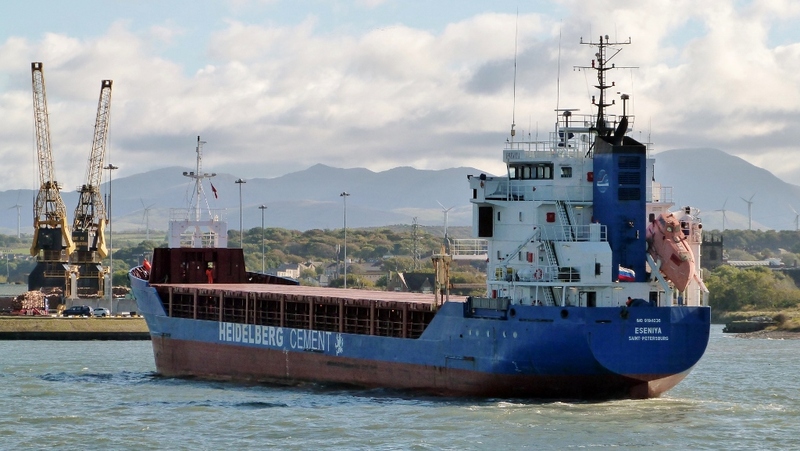 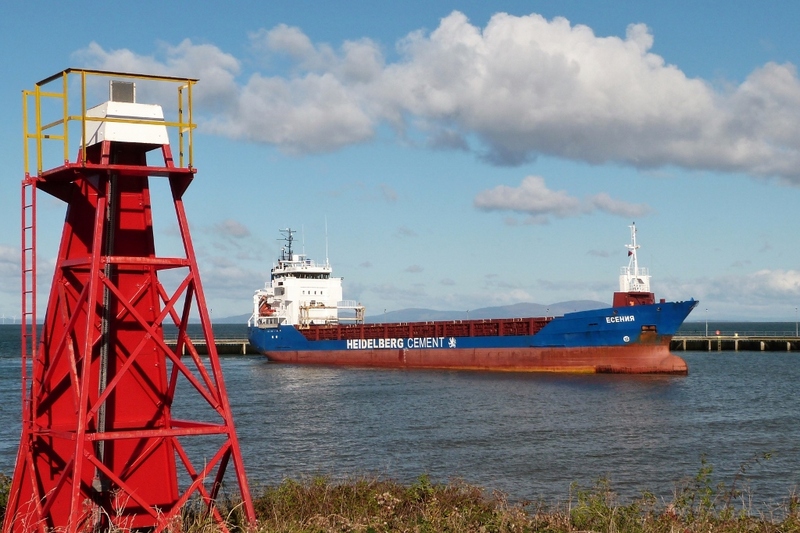 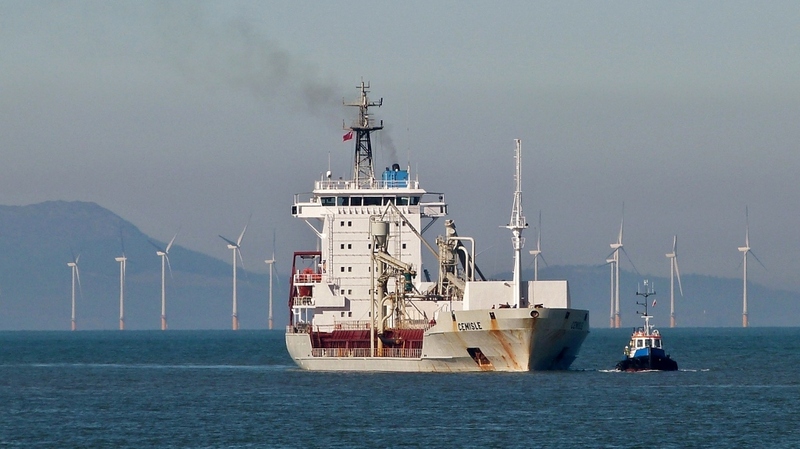 The Russian-flagged vessel is one of three owned by Transflot of St.Petersburg. ​The Norwegian live fish carrier is seen inbound from Orkney on a grey morning. 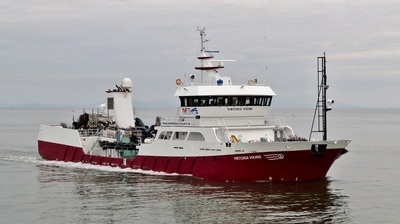 She will load salmon smolts bred in Cumbrian freshwater farms for transfer to Scottish offshore units where they are grown into mature fish. 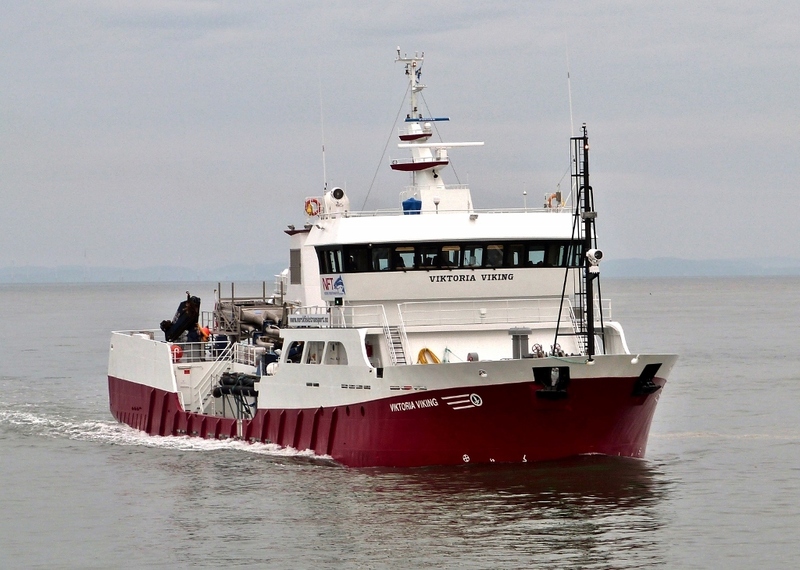 ​The small, 57m, 1,500ton DWT, Norwegian-built 'wellboat' is ideal for manoeuvring in Scottish sea lochs. 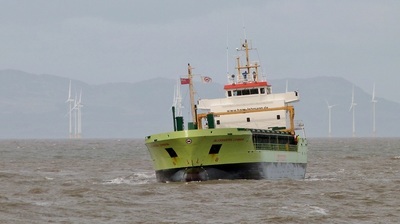 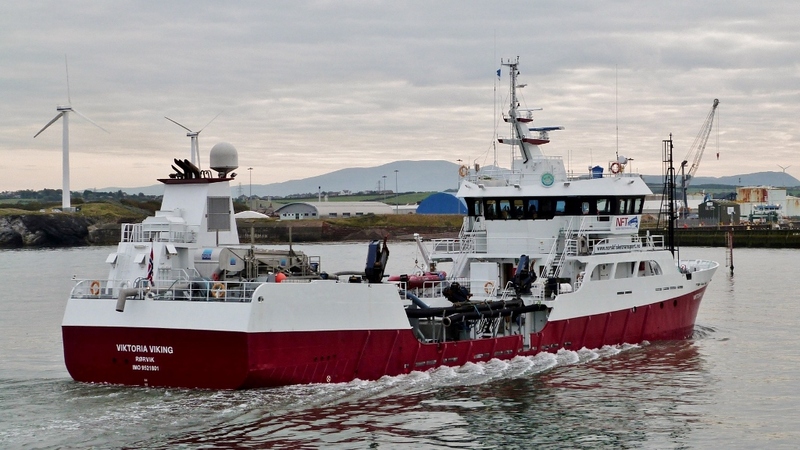 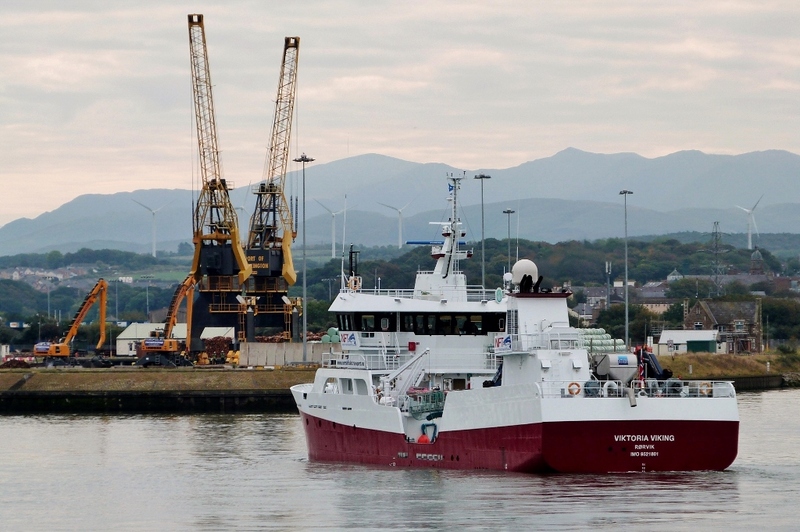 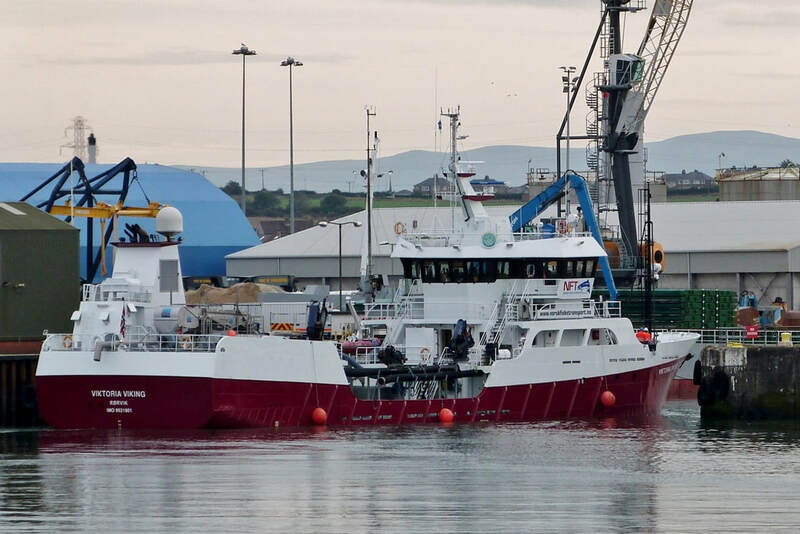 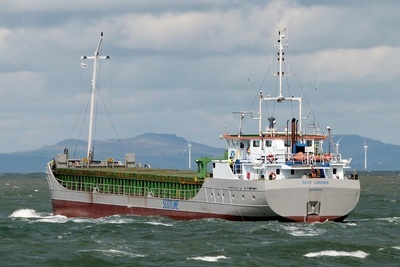 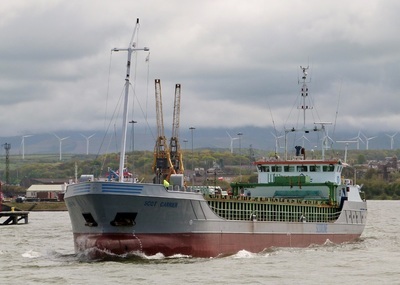 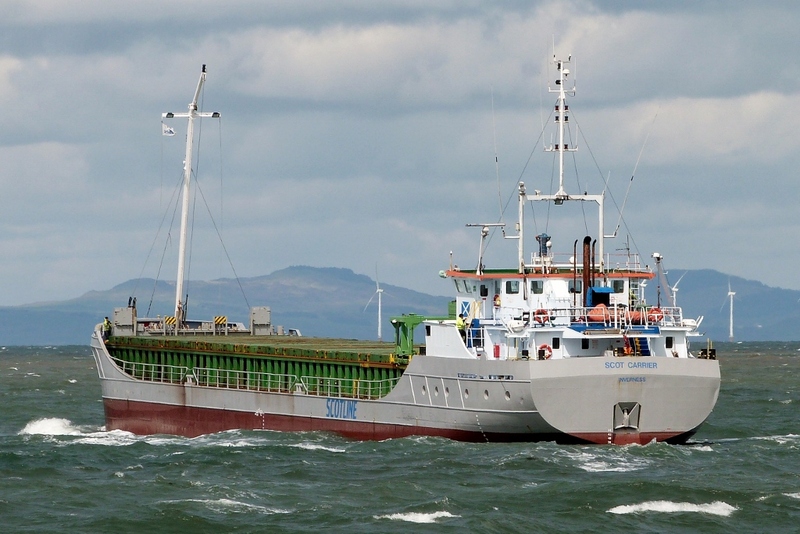 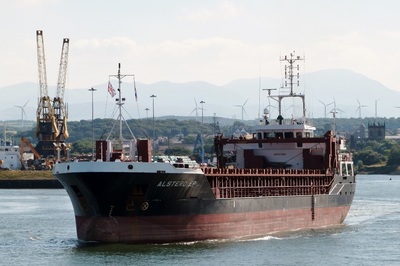 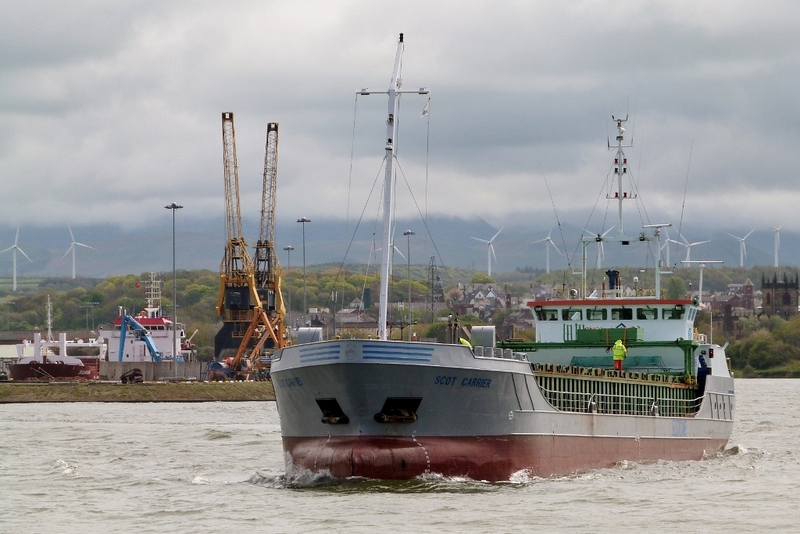 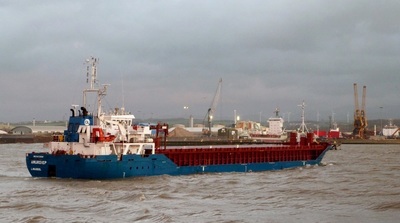 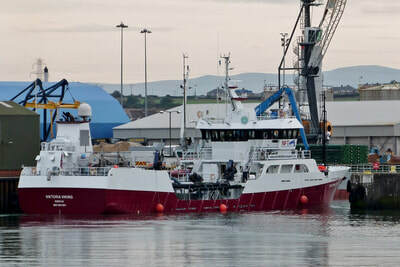 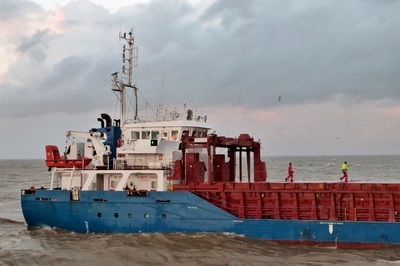 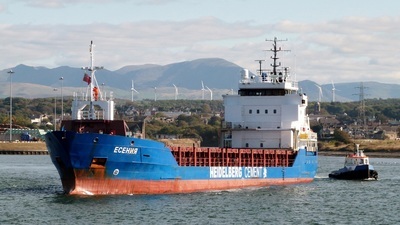 She changed ownership to the "Norwegian Fish Transport Group" earlier in 2015 and appears to be run as a joint venture with 'Migdale Transport'. 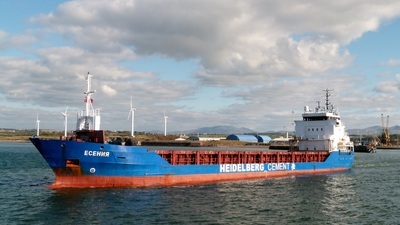 ​Inbound from Dublin on an unusually bright autumn afternoon. The vessel which was built in 2000 is owned by Brise Group of Hamburg. 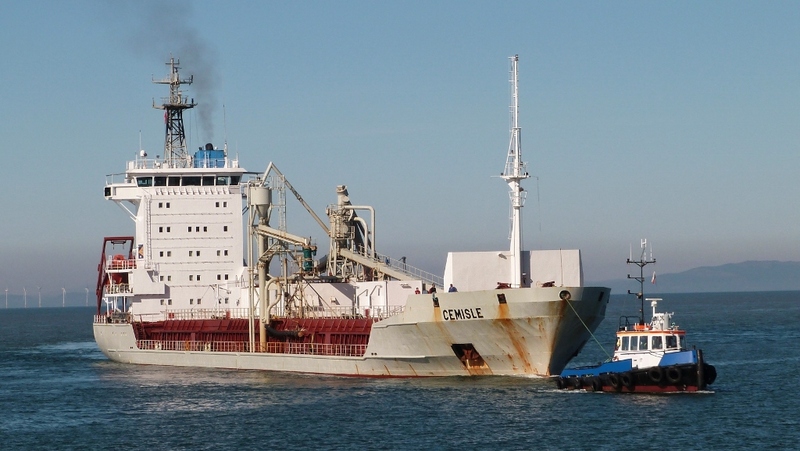 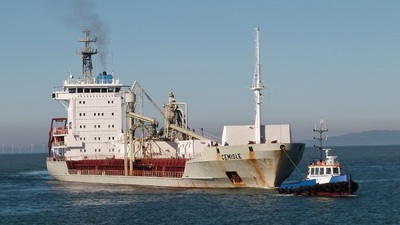 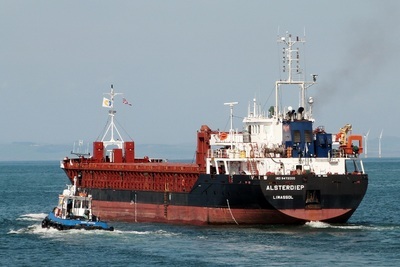 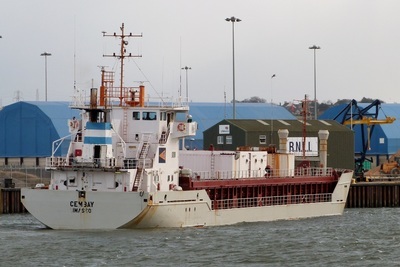 It was converted from general cargo to cement carrier in 2009. 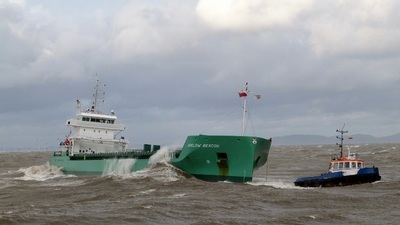 It has been used regularly this year with deliveries from Dublin to Workington. 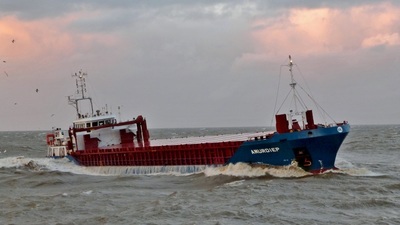 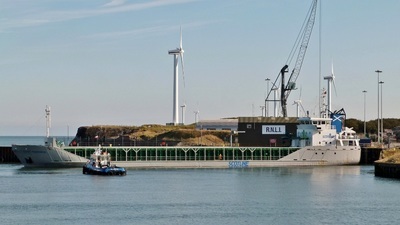 ​Inbound from Vlissingen on the morning tide with baled wood pulp for use in the local Iggesund Mill. ​Calm autumn conditions allow for a graceful approach before turning in the harbour basin followed by reversal into the dock. 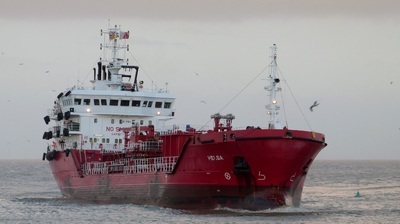 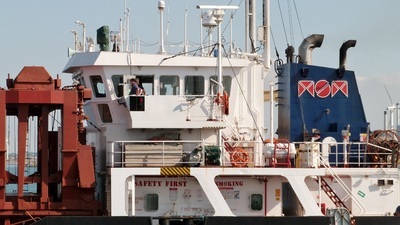 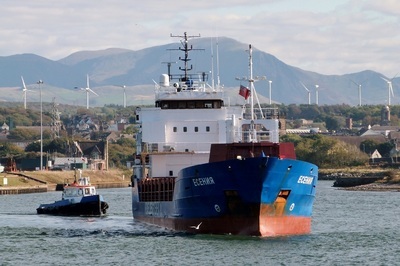 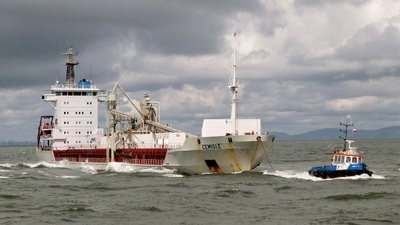 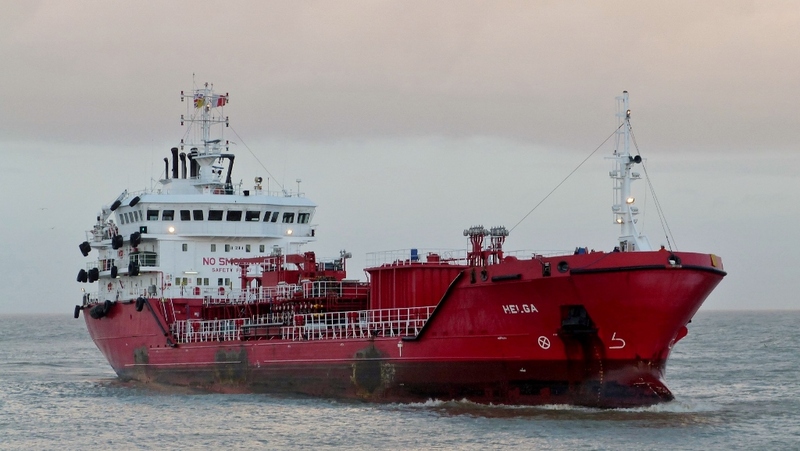 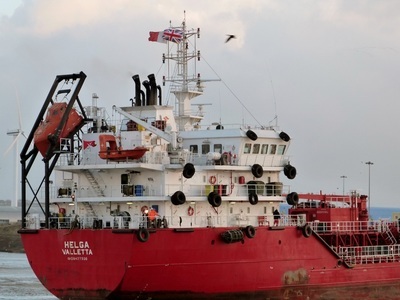 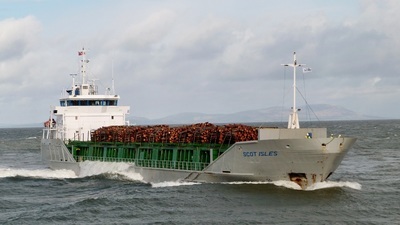 The vessel is one of the "Scotline's" UK owned & registered fleet. 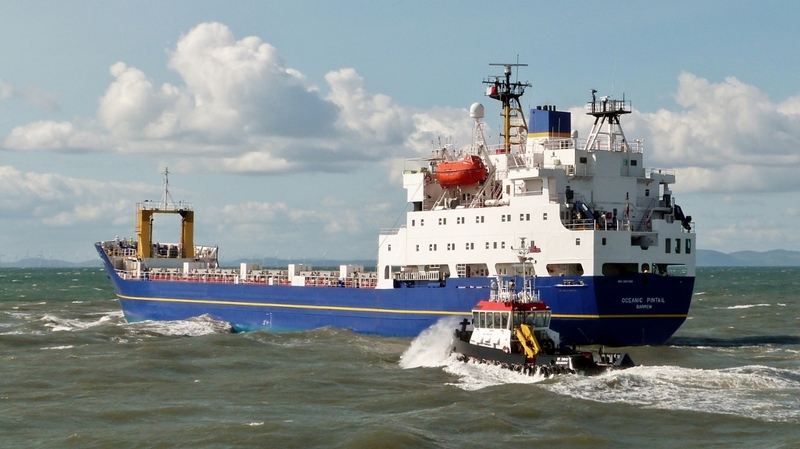 The company has an informative website which includes current ship positions. ​A video of the launch of Scot Mariner in 2001 is also available. 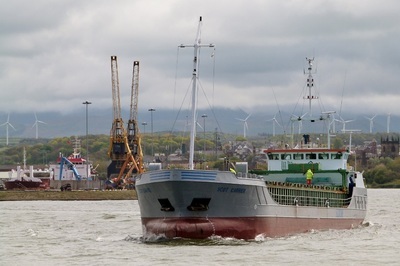 Outbound for Dublin in ballast after unloading a cargo of baled wood pulp from Aveiro, Portugal. 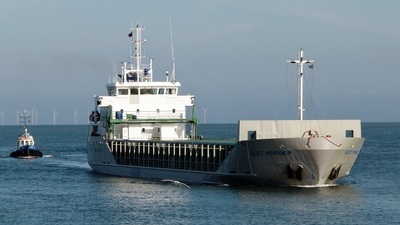 The 4,150ton DWT vessel, built in 2008, is managed by Cypriot company 'Mastermind'. 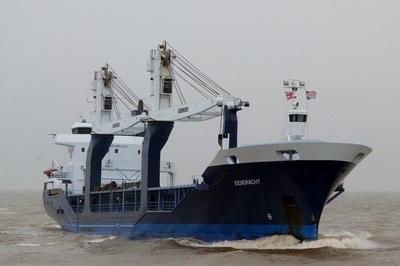 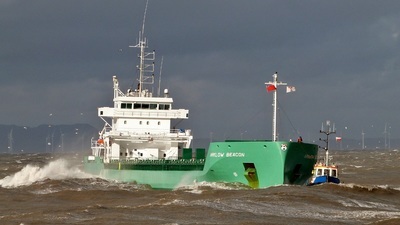 Seen inbound from Birkenhead to collect baled waste for export to Latvia. 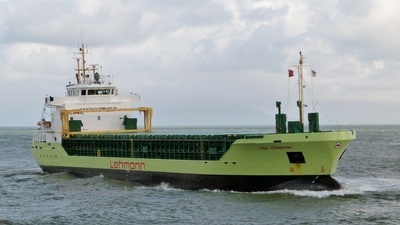 'LISA' is one of 10 ladies managed by 'Lehmann Shipping' of Germany. 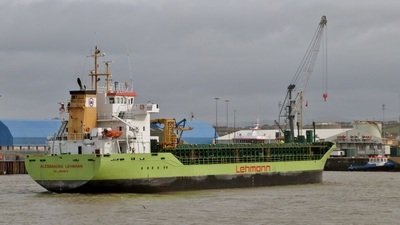 Most of the fleet are painted in the company's lime-green livery. 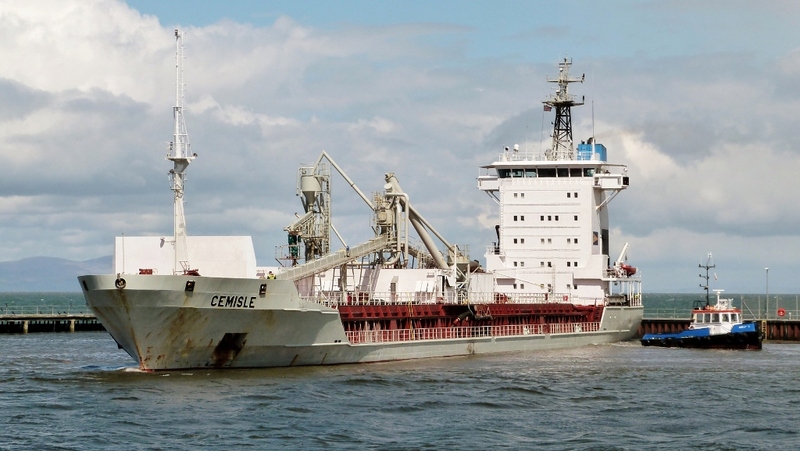 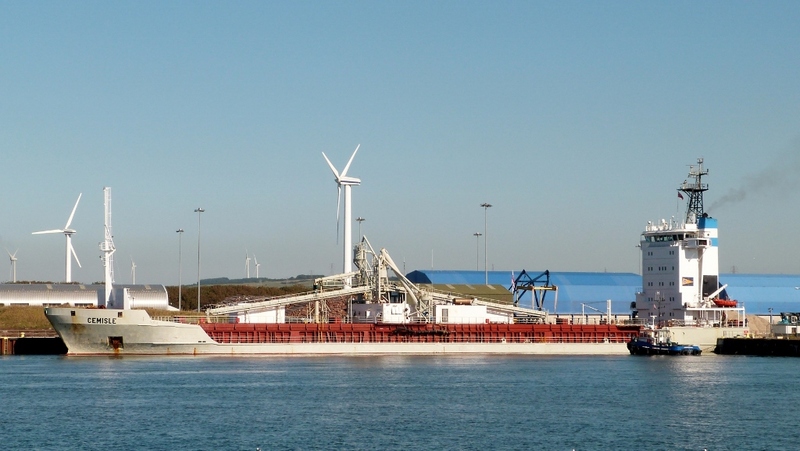 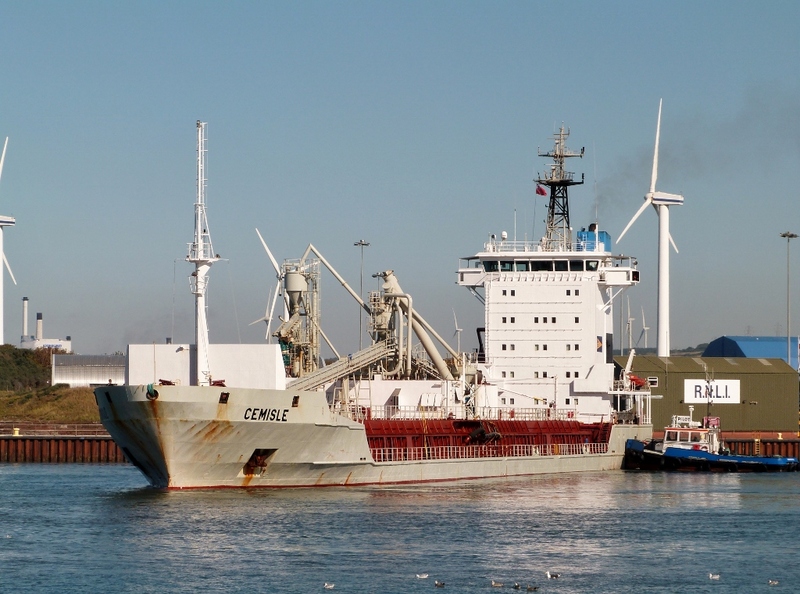 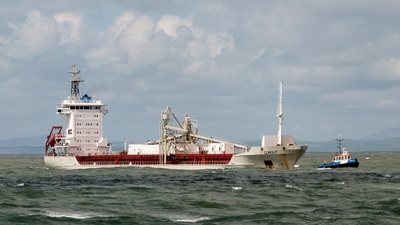 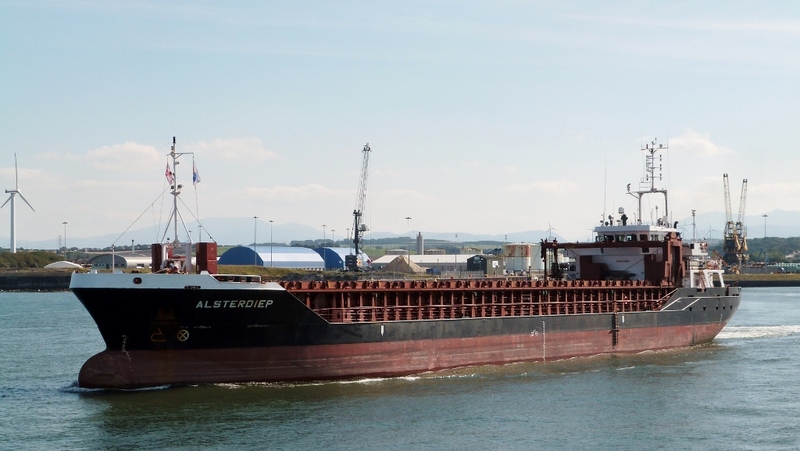 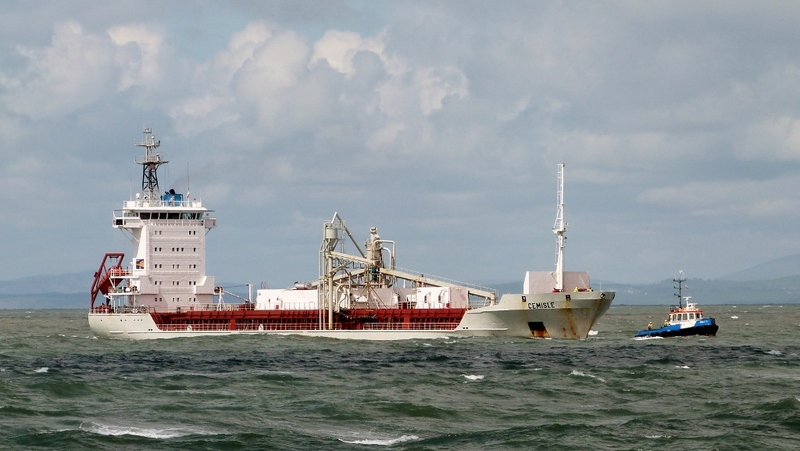 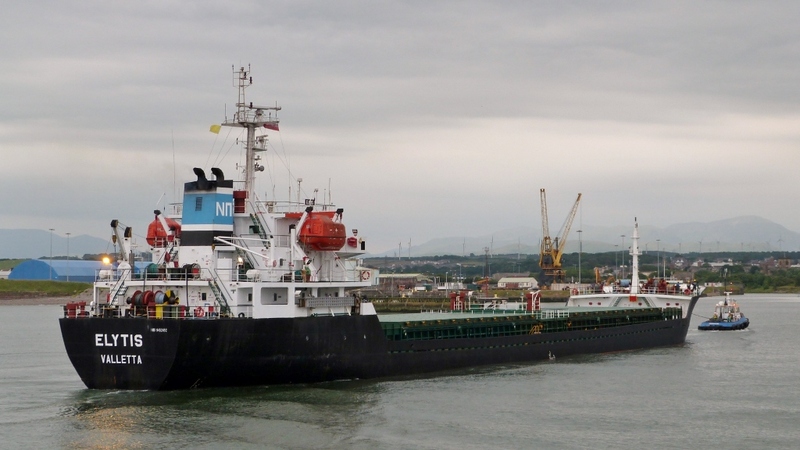 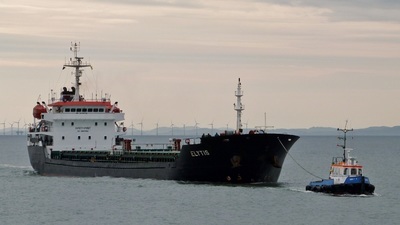 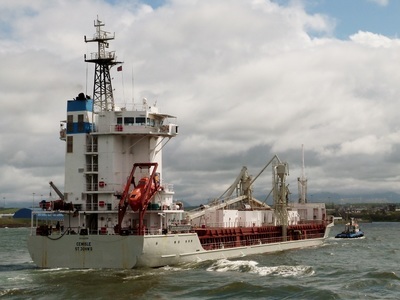 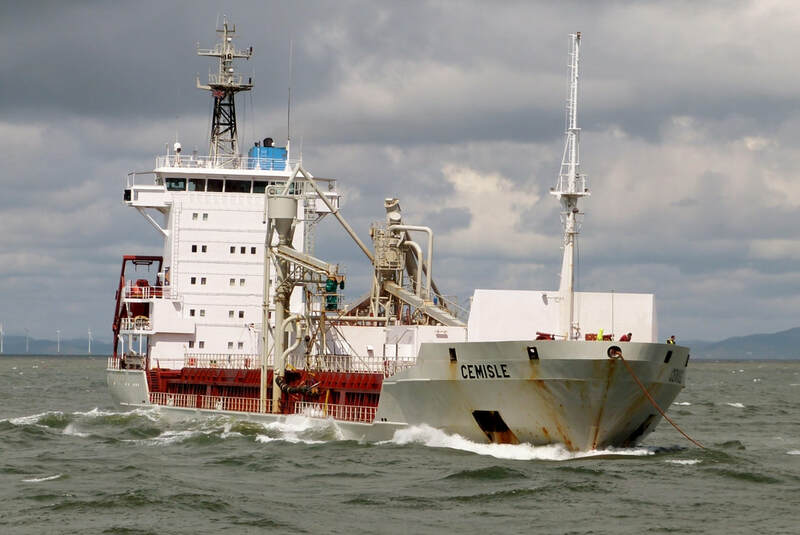 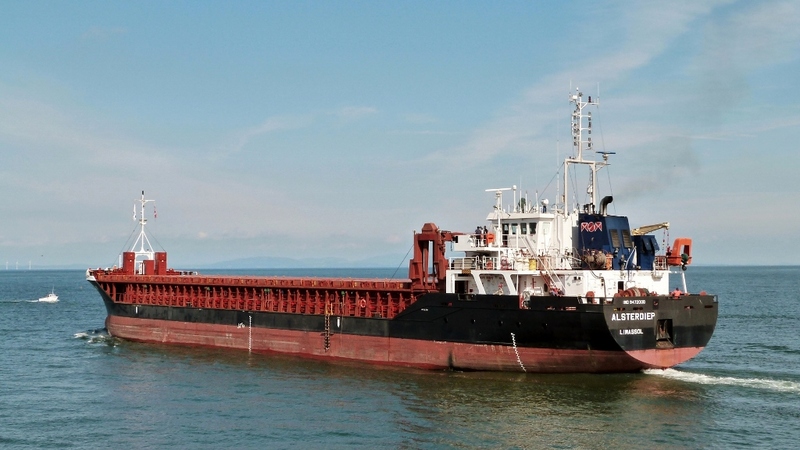 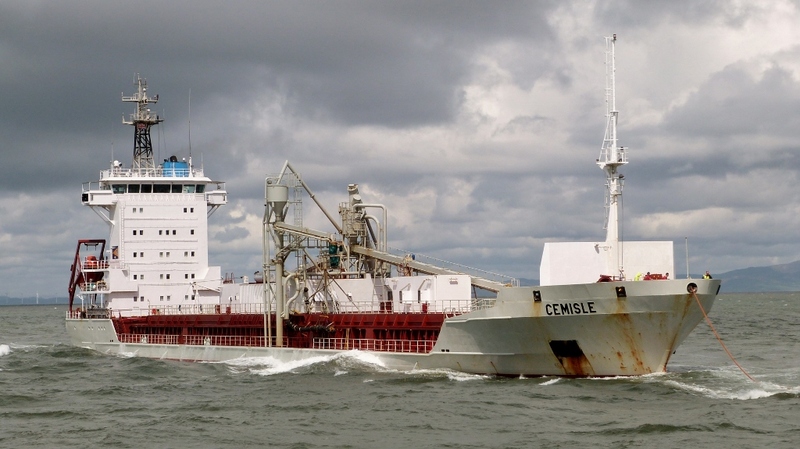 ​The 4,500ton DWT mini-bulker was built by the Dutch Bodewes yard in 2004 as 'STOROE'. She was renamed & re-registered in Antigua & Barbuda when Lehmann acquired her in 2013. 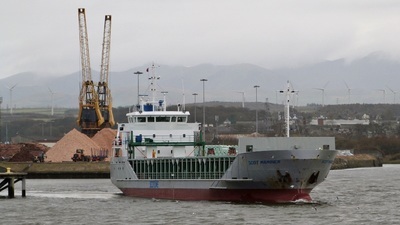 Light is fading for the arrival of 'ELYTIS' from Garrucha, on the Spanish Mediterranean coast, with gypsum. 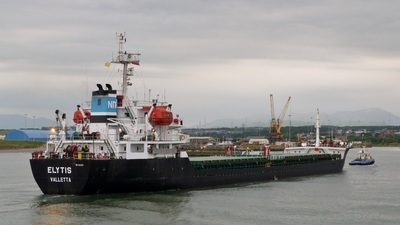 ​The 120m, 7,500ton DWT vessel, built in China in 2007, is one of the larger vessels to be handled by the port. 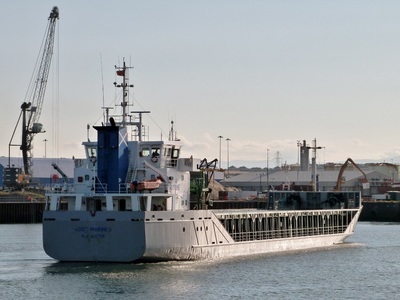 ​The vessel is listed as 1 of 12 managed by 'Pacific & Atlantic' of Athens. 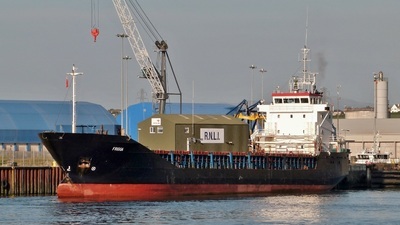 The nuclear fuel carrier is seen outbound for an undisclosed destination having arrived from Falmouth 6days earlier. 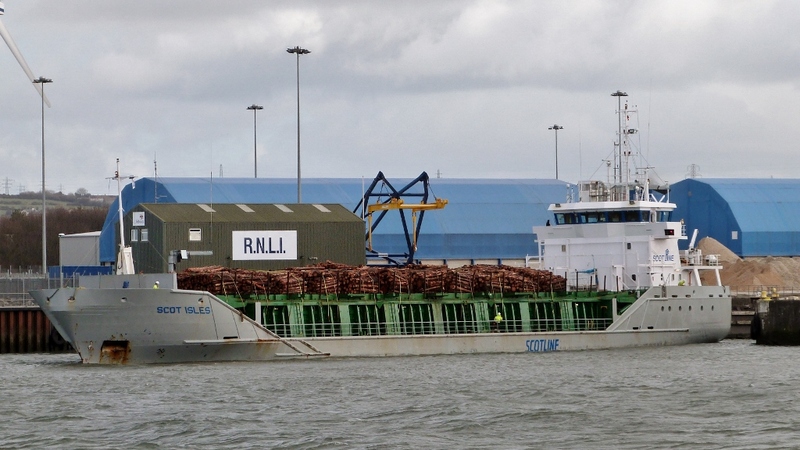 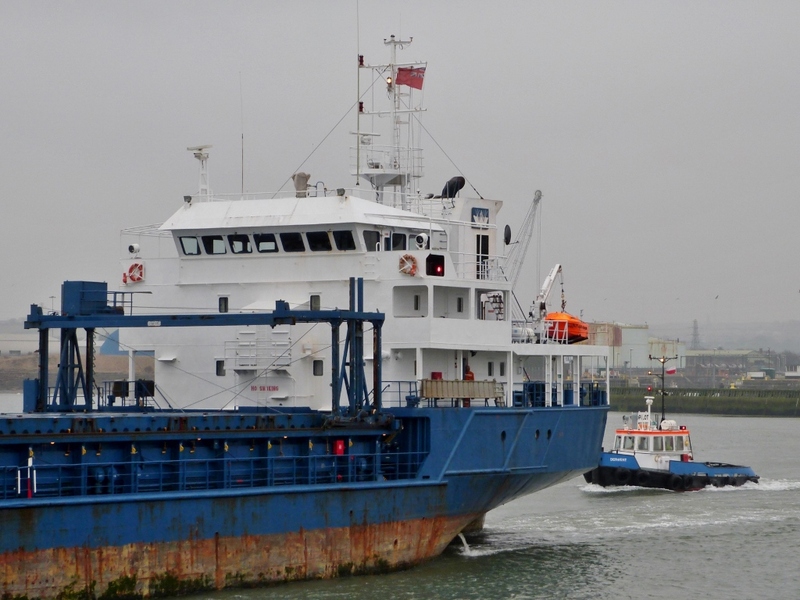 Inbound from Poole on the evening tide to collect baled waste for export to Latvia. ​The 4,200ton DWT general cargo vessel, built in 1994, shows the funnel marking of 'Frigga Shipping'. 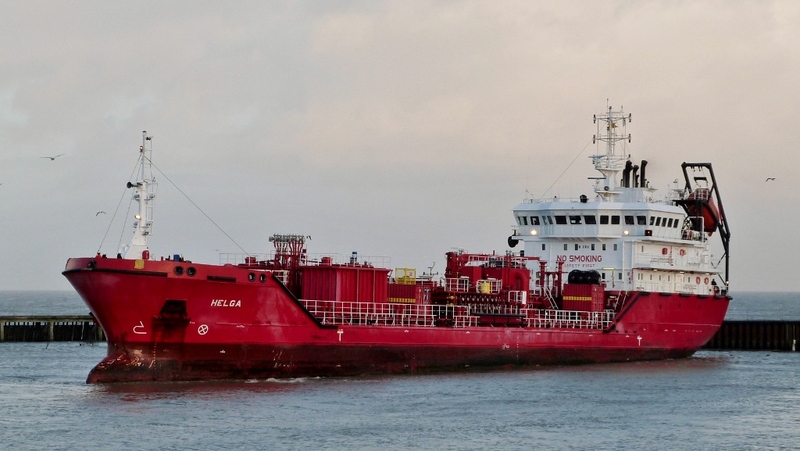 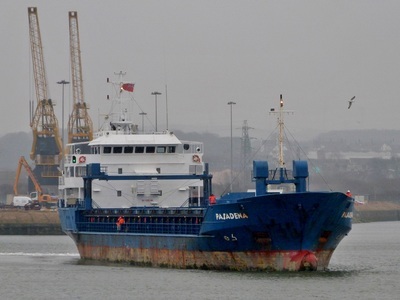 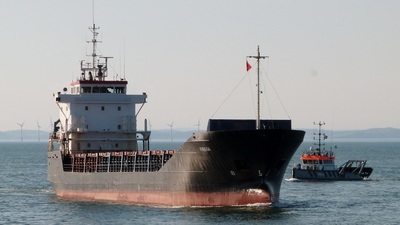 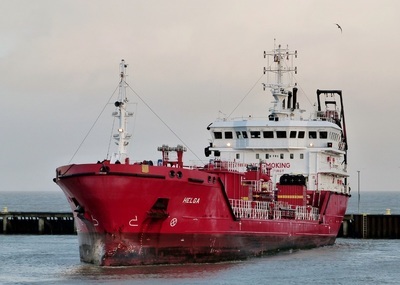 Management has since changed to 'Aquarius Shipping' of Riga, Latvia, who operate 9 vessels.. 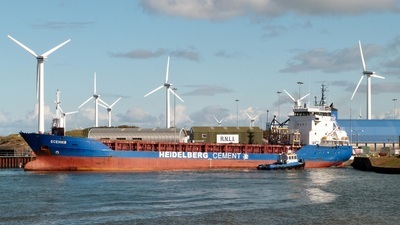 The vessel is the largest of eight cement carriers operated by 'Brise Bereederung' of Hamburg. 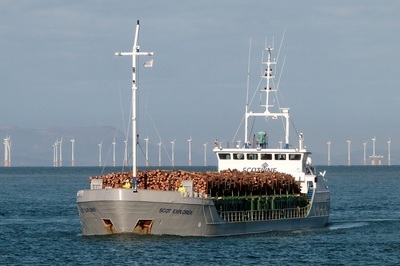 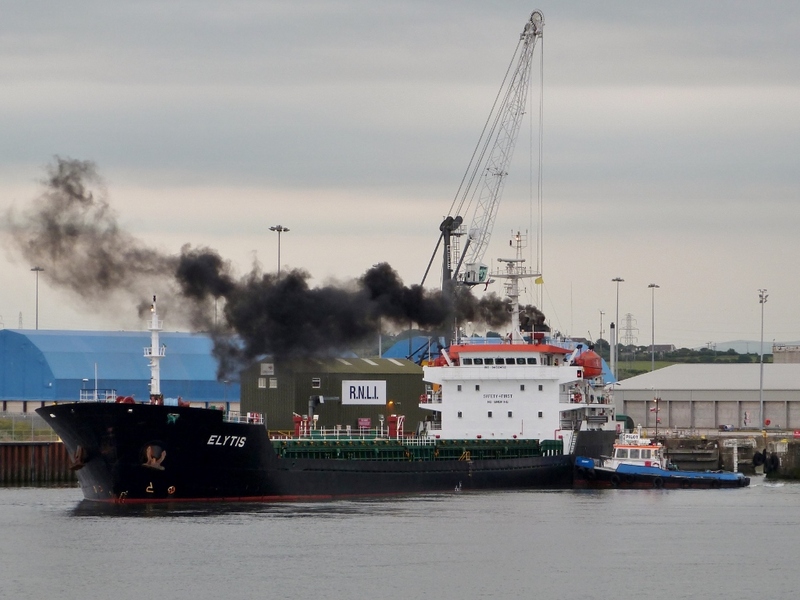 The specialised fleet of self-discharge vessels has since been re-branded in '﻿BALTRADER' livery although there is still a close association with the 'Brise' group. 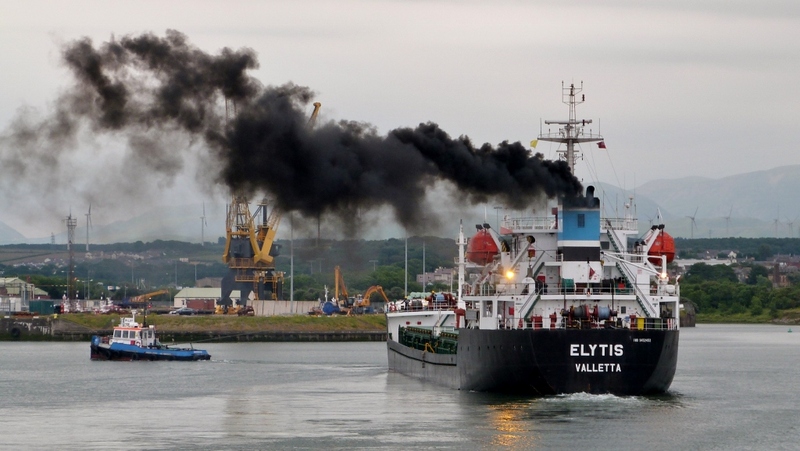 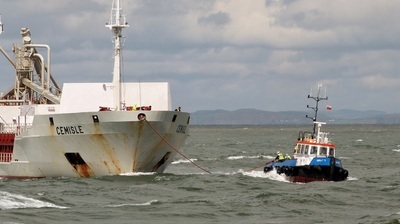 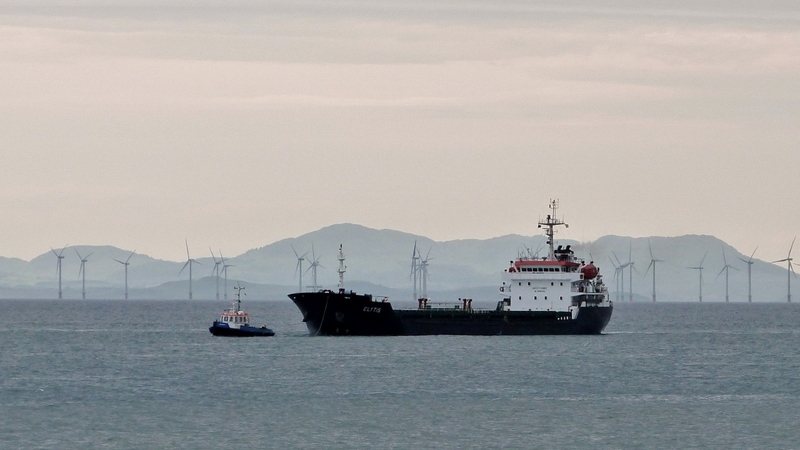 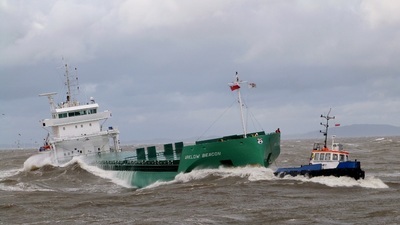 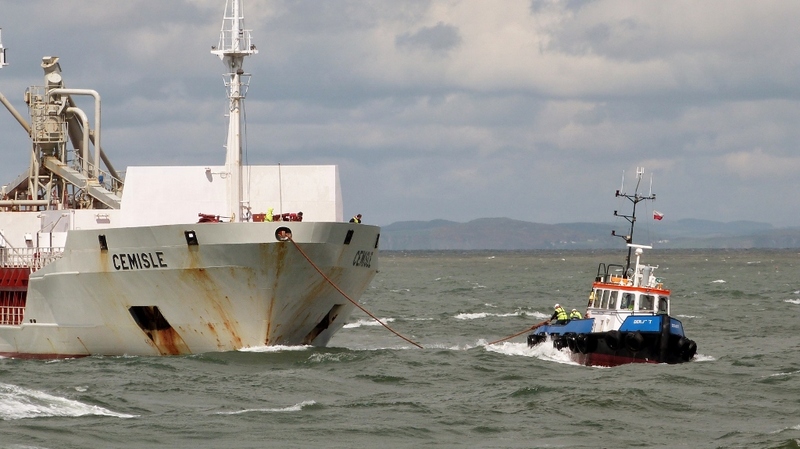 ​The gallery shows pilot tug DERWENT attaching a bow-line to help control the approach. 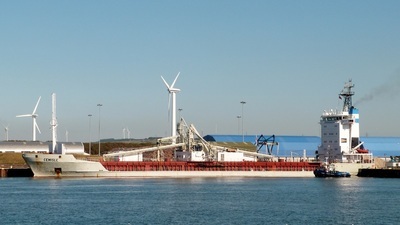 Once inside the harbour basin, the ship is turned before reversing through the dock entrance. 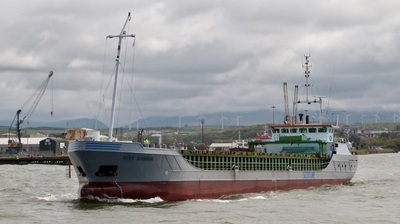 Outbound for Corpach passing CEMISLE waiting her turn to enter port. 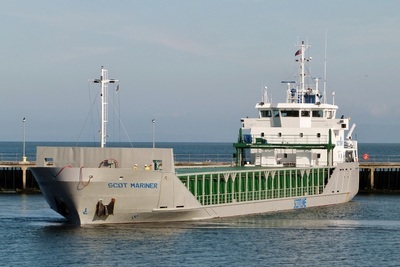 At 2,500ton DWT, CARRIER is one of 'Scotline's' smaller vessels. 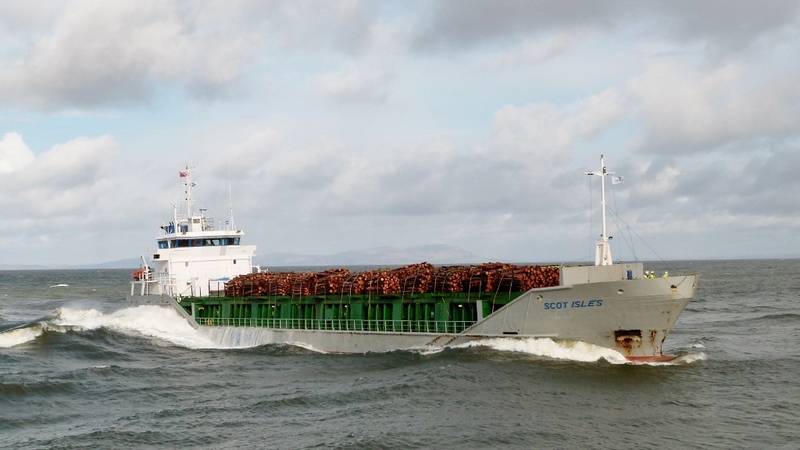 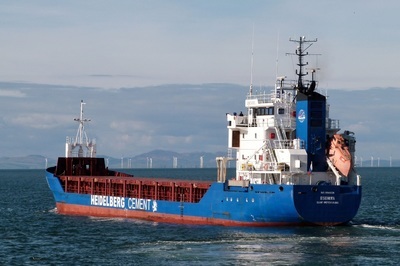 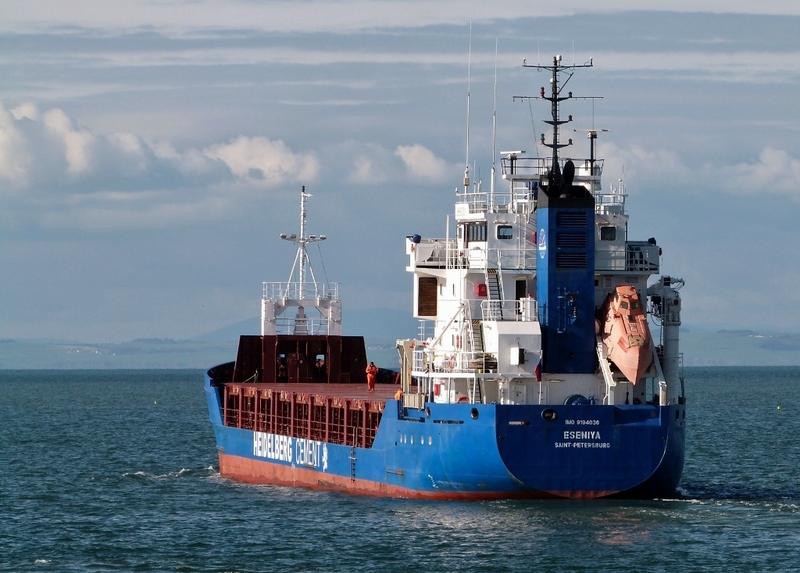 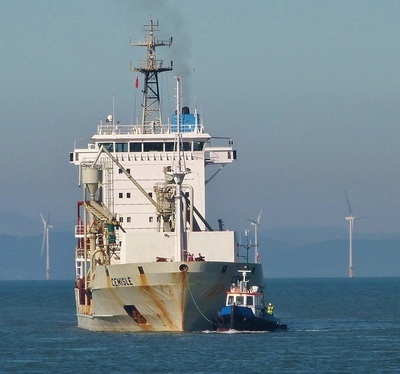 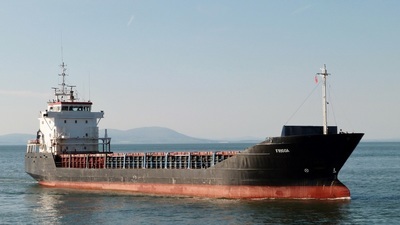 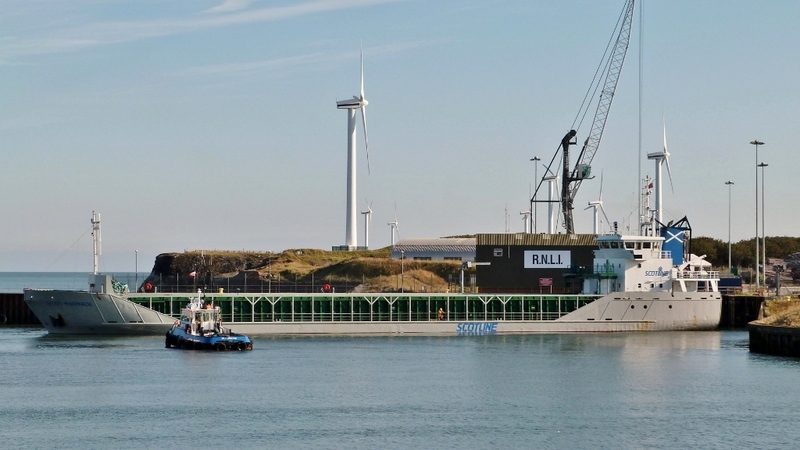 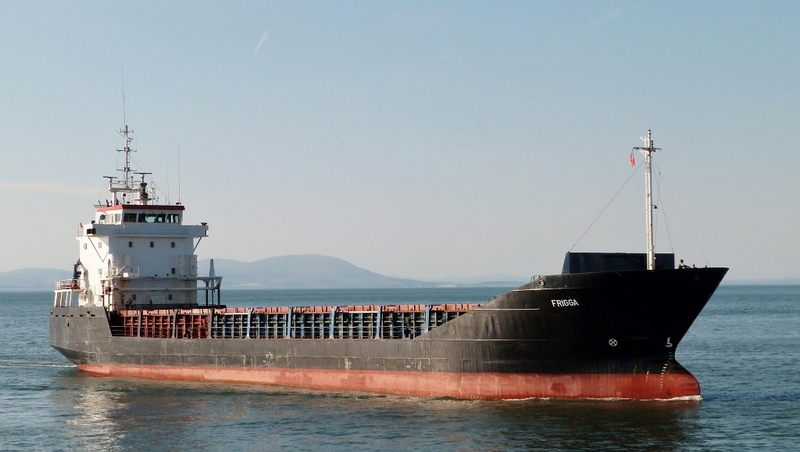 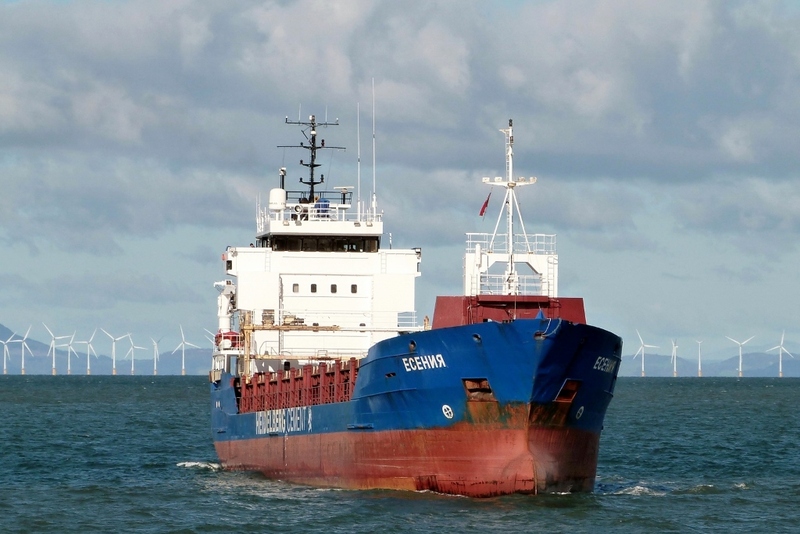 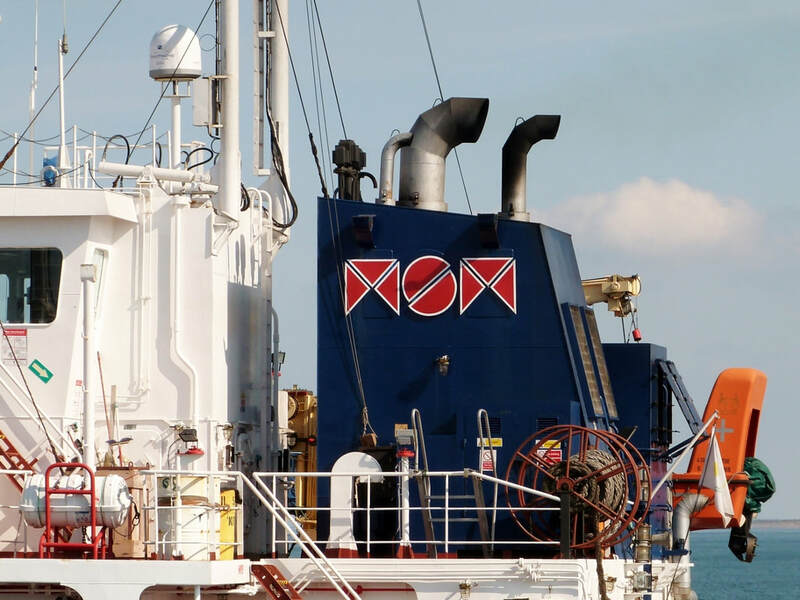 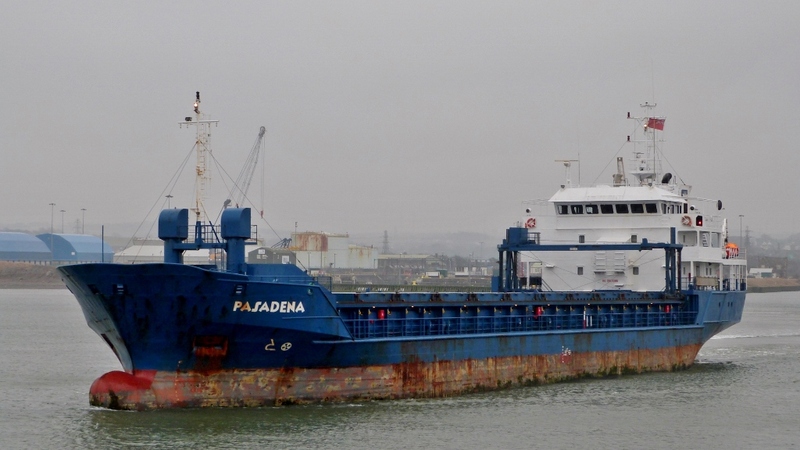 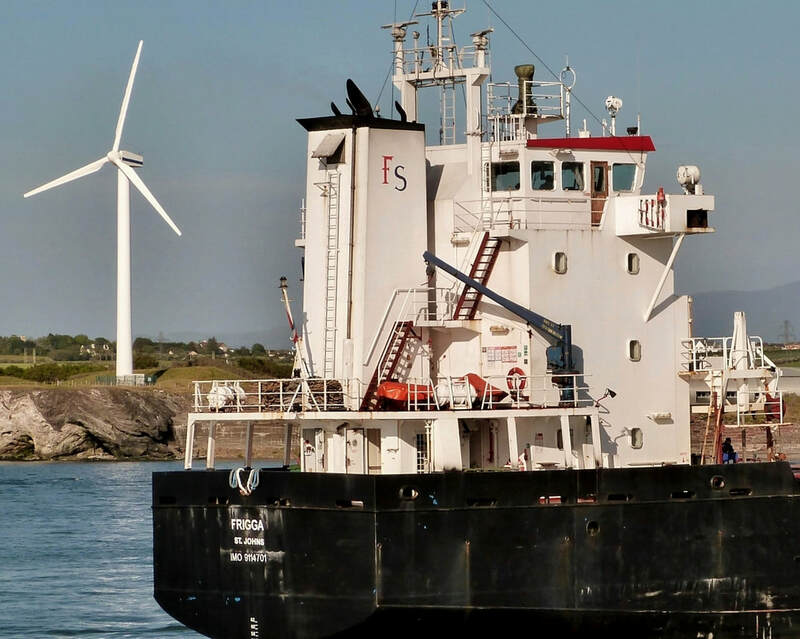 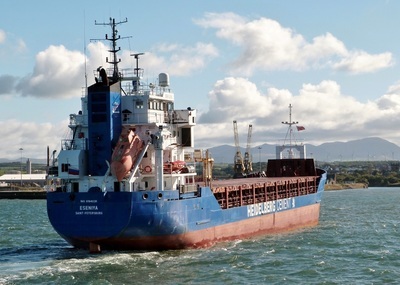 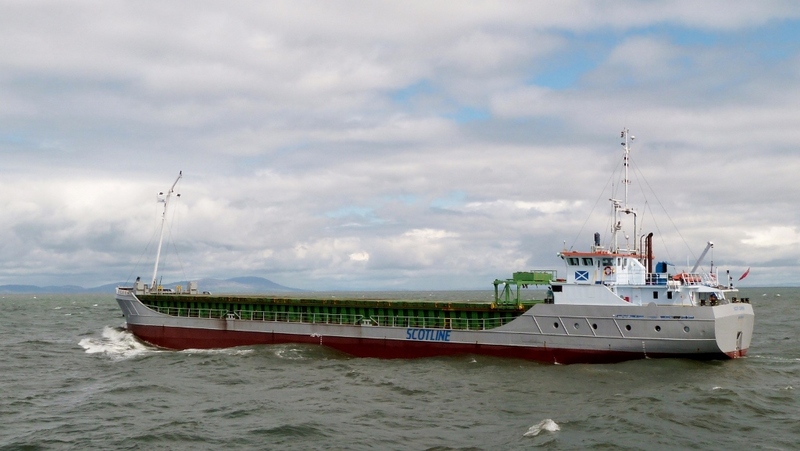 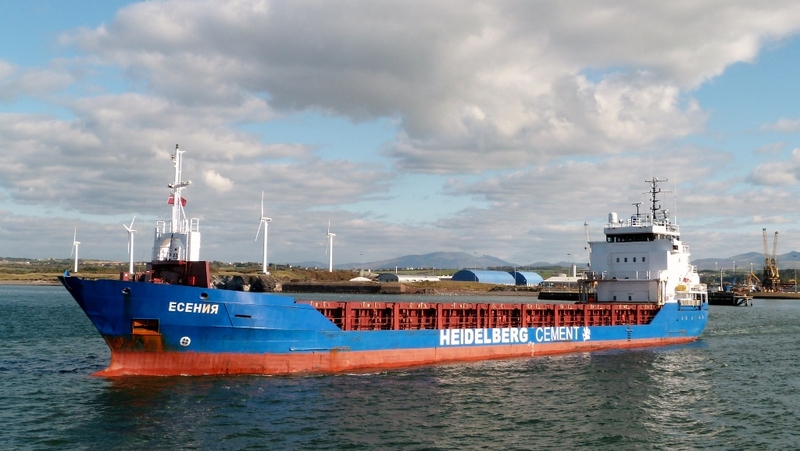 The company has a fleet of 13 general cargo vessels of up to 4,600ton DWT operating around the UK & northern Europe. 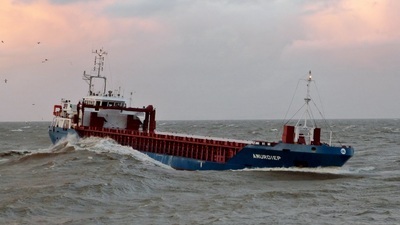 The fleet can be easily located using the 'Current Positions' page of the website. 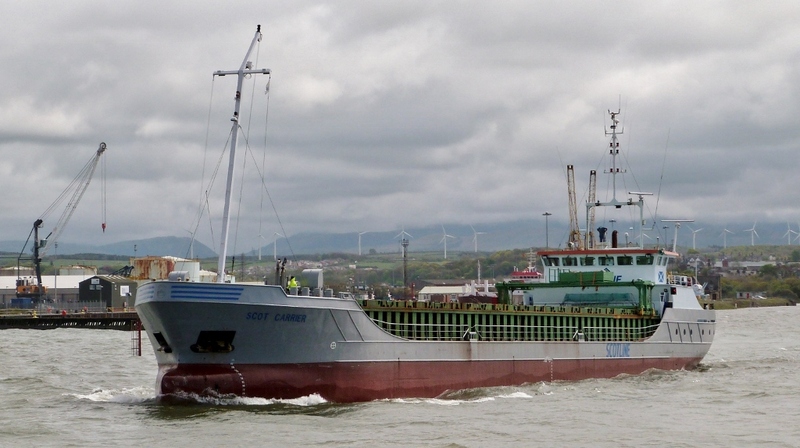 Inbound from Bromborough to collect baled waste. 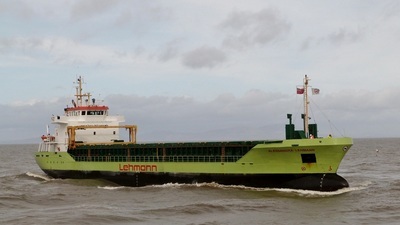 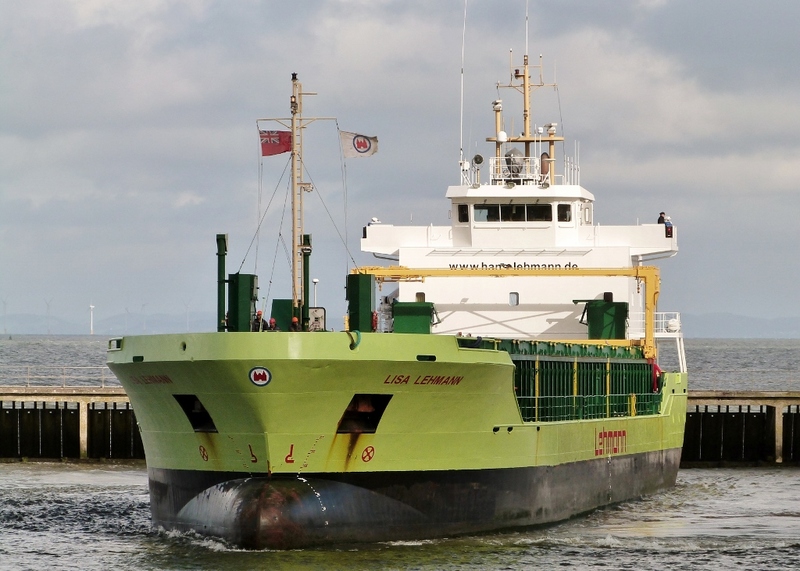 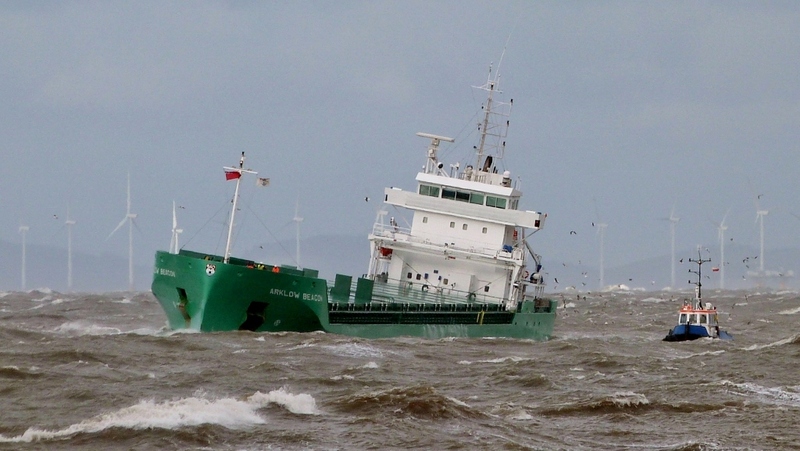 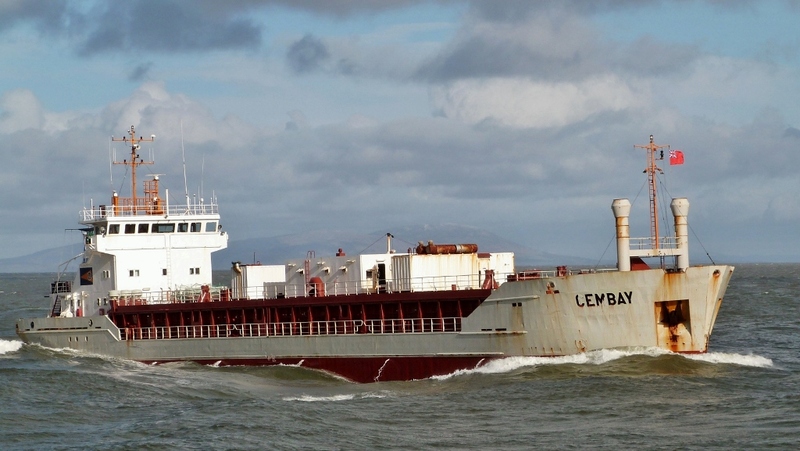 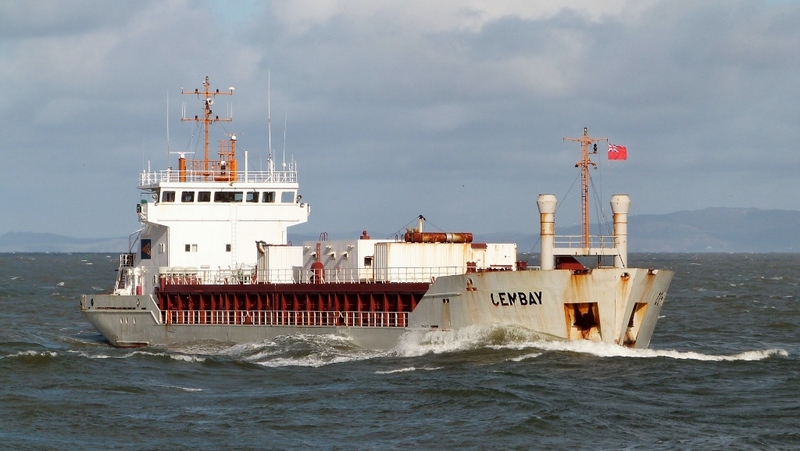 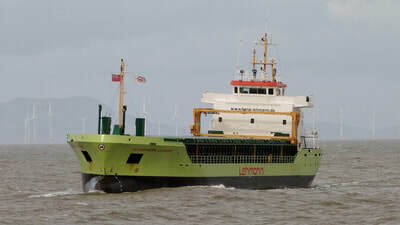 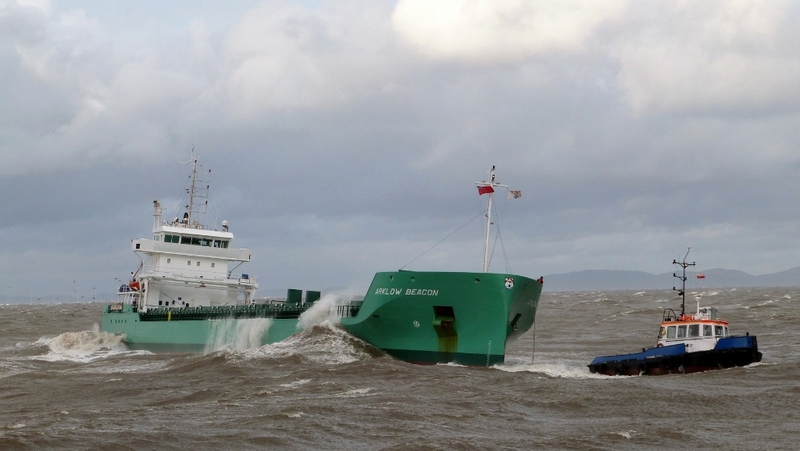 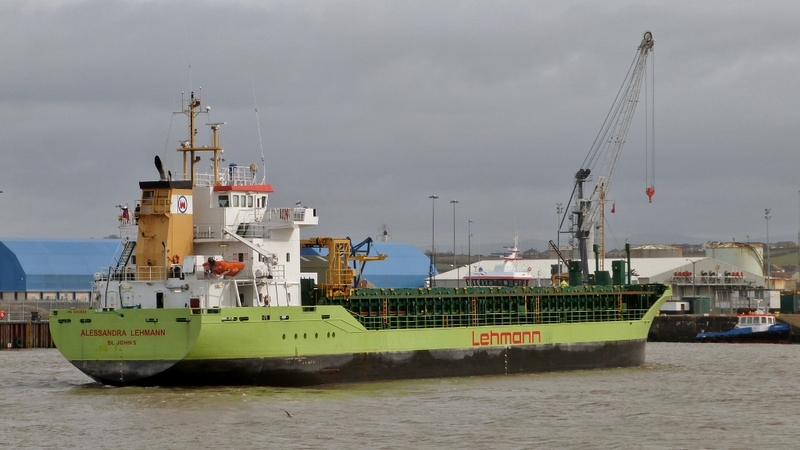 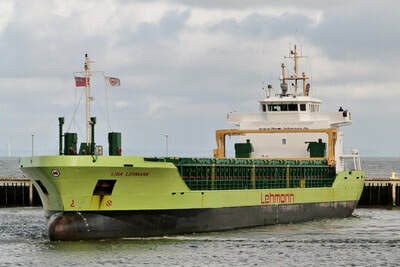 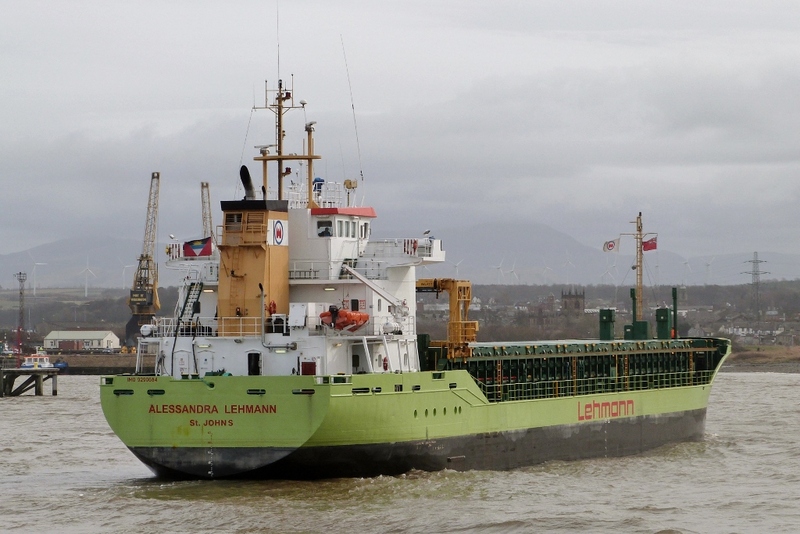 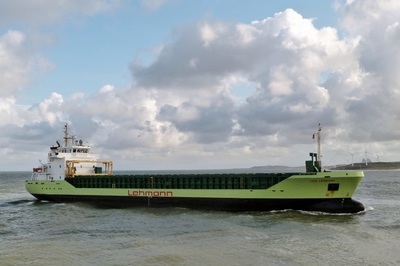 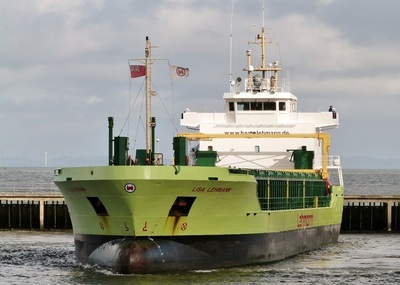 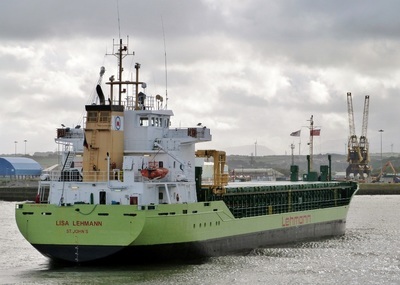 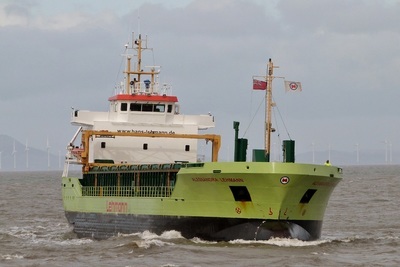 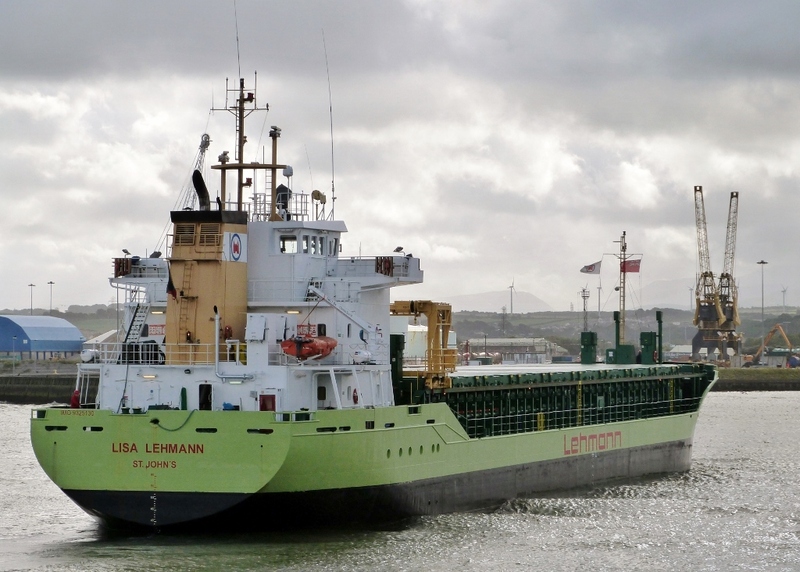 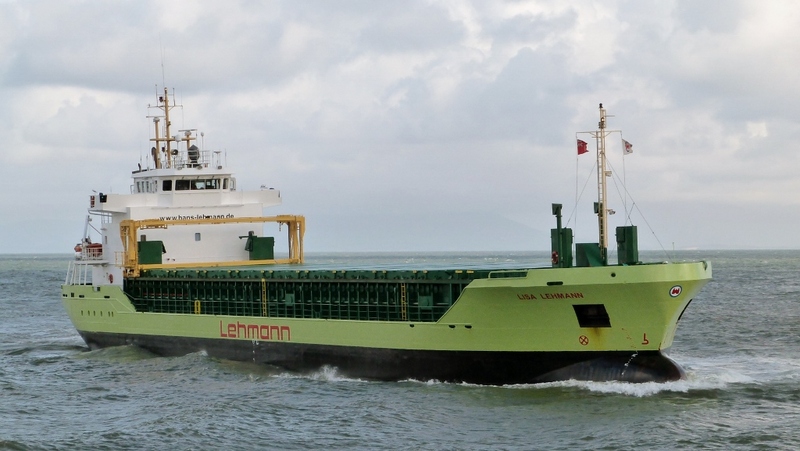 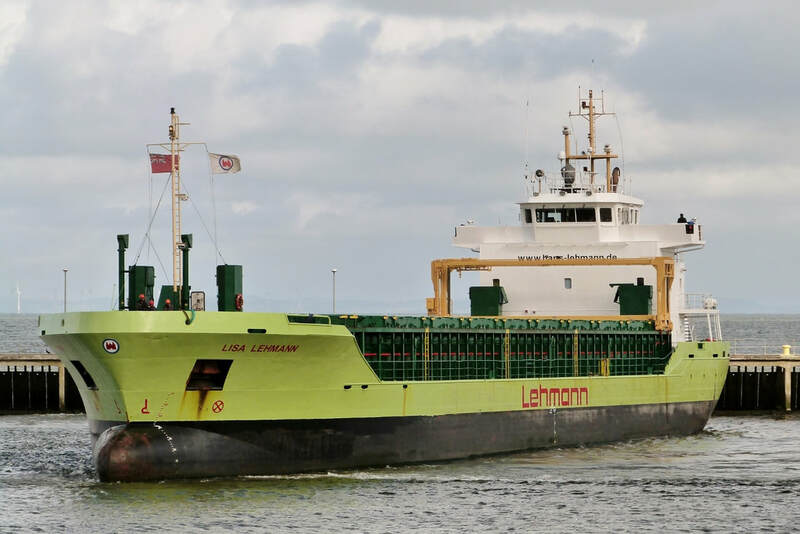 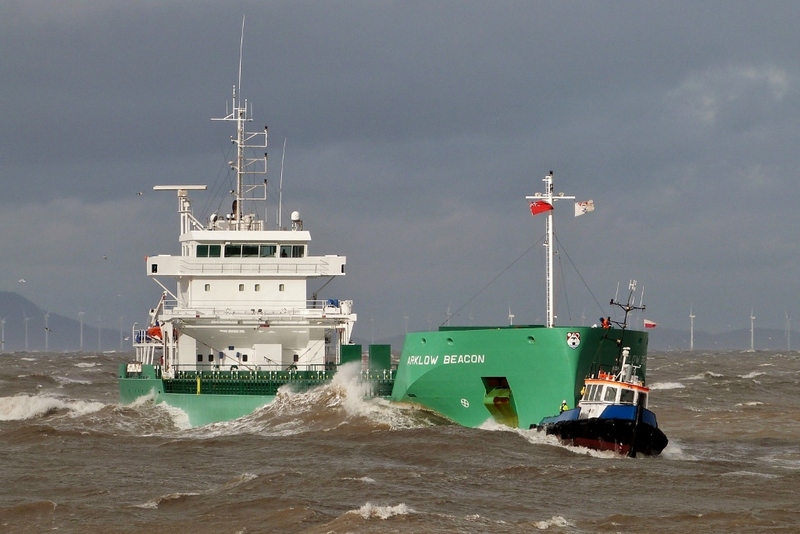 ​The 4,500ton DWT ship built in 2004 is one of 'Lehmann's' fleet of 10, many of which bear the distinctive green livery. Two regulars arriving within 45min of each other: CEMBAY from Dublin with powdered cement & SCOT ISLES with timber from Corpach. 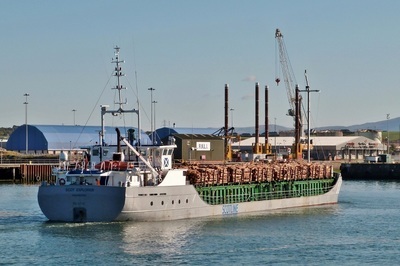 Departing for Belfast having arrived the previous day with baled wood pulp from Aveiro, Portugal. 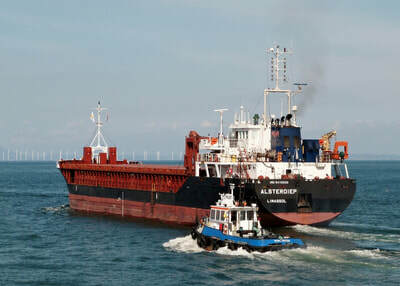 ​The 3,000ton DWT 'PASADENA', built in 2001, is 1 of 25 'minibulkers' operated 'Wessels' of Germany. 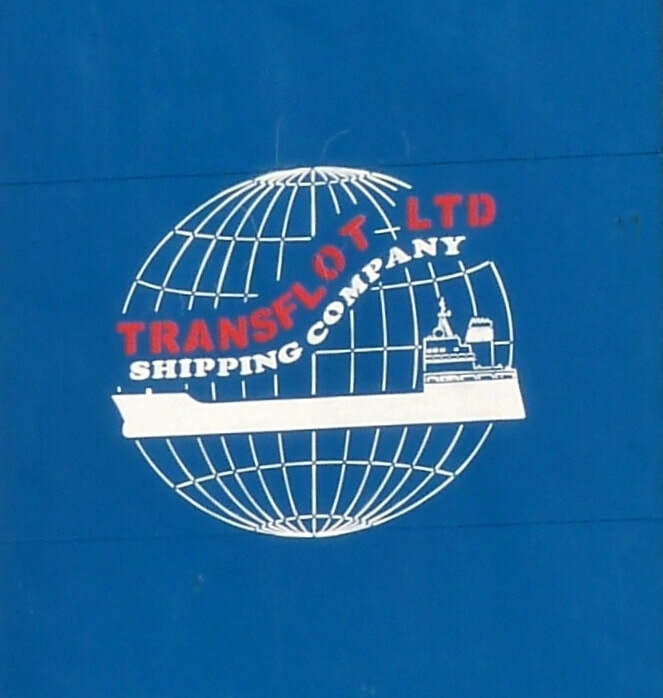 The company website contains the fascinating story of 100yr of shipping.